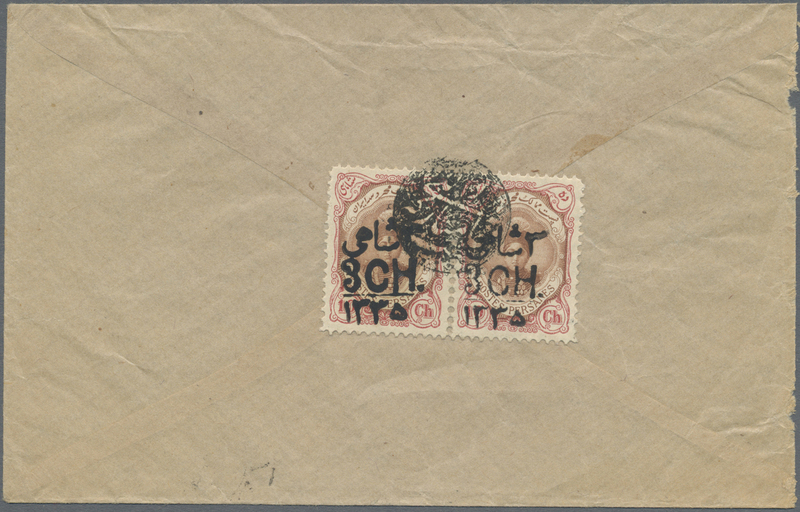 8366 postfrisch (never hinged) ** ungebraucht (hinged) * Sc. 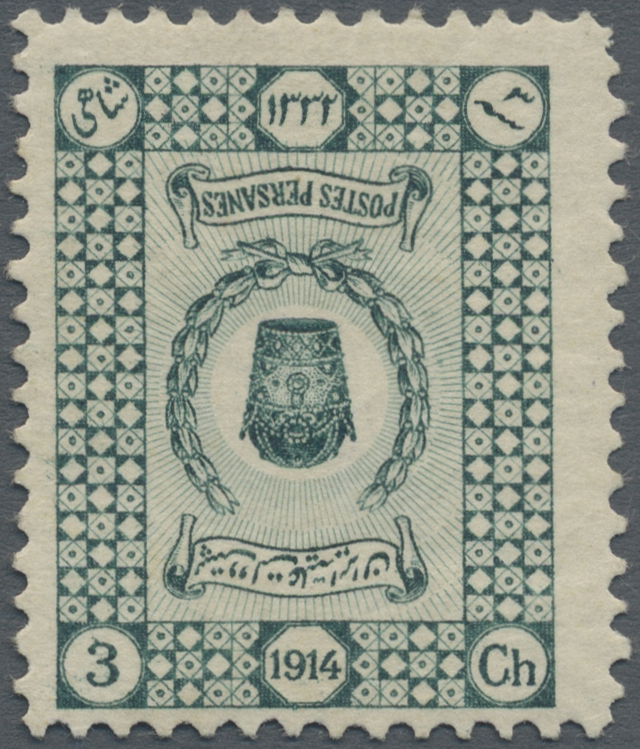 539 (10) 1915, 2ch. 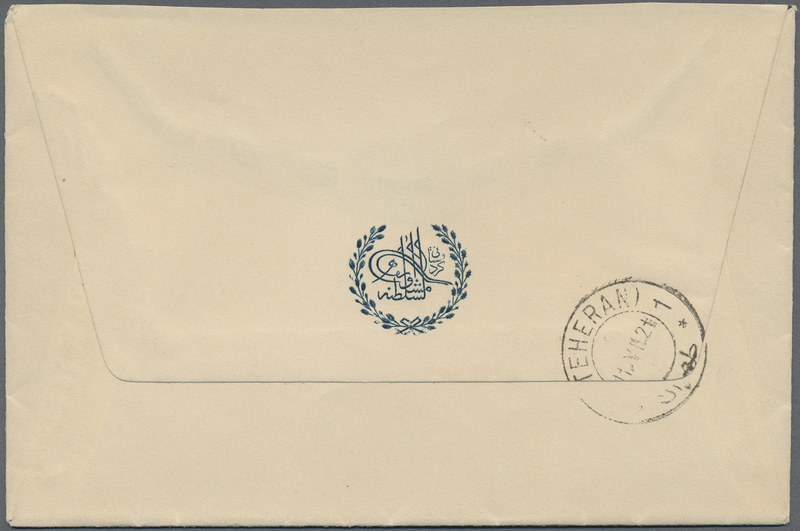 on 5ch. 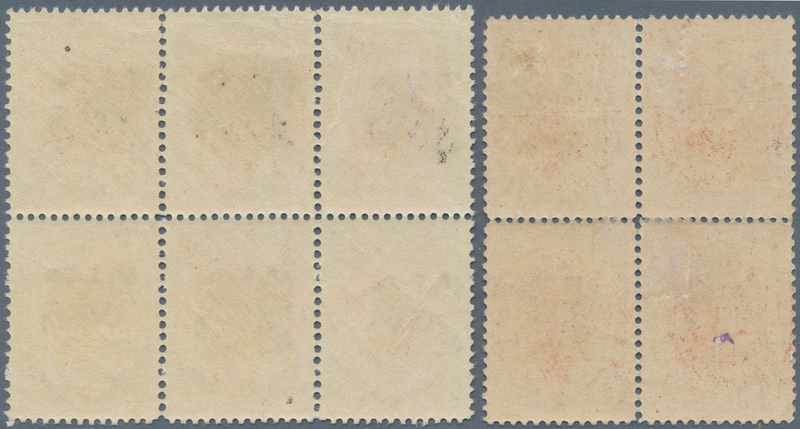 brown/carmine, block of six unmounted mint and block of four mint, folded/slightly separated. 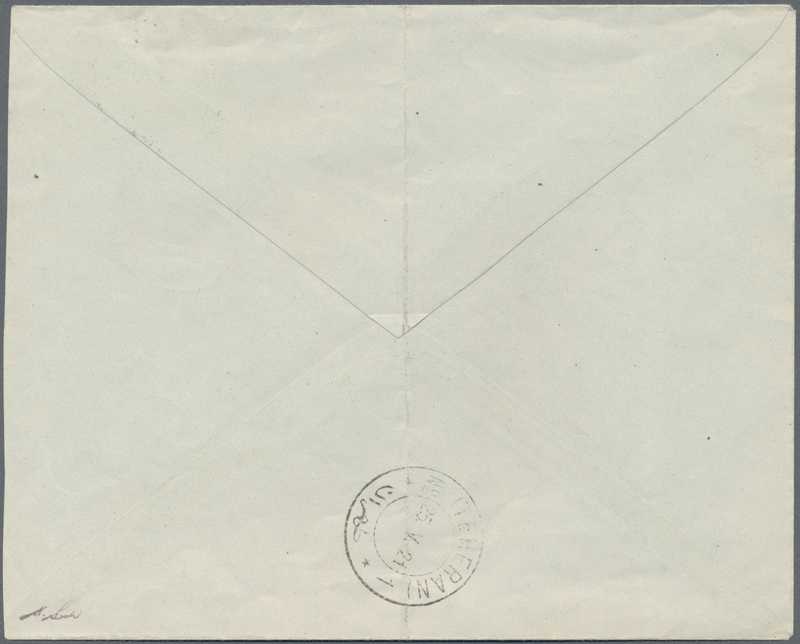 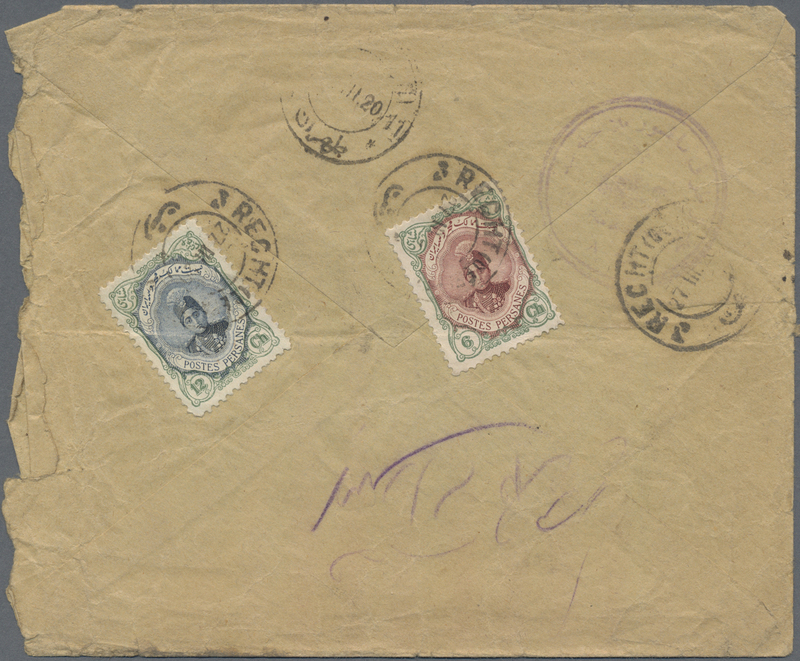 8380 postfrisch (never hinged) ** Sc. 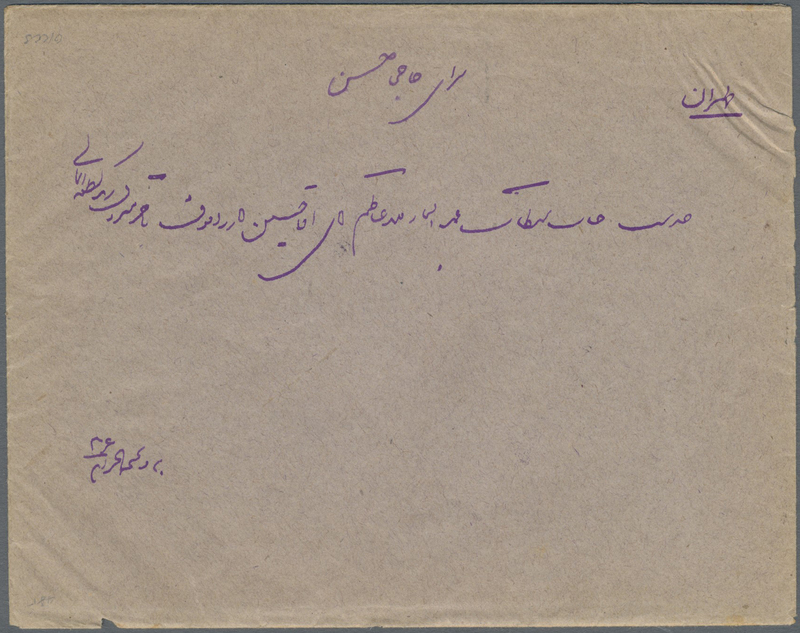 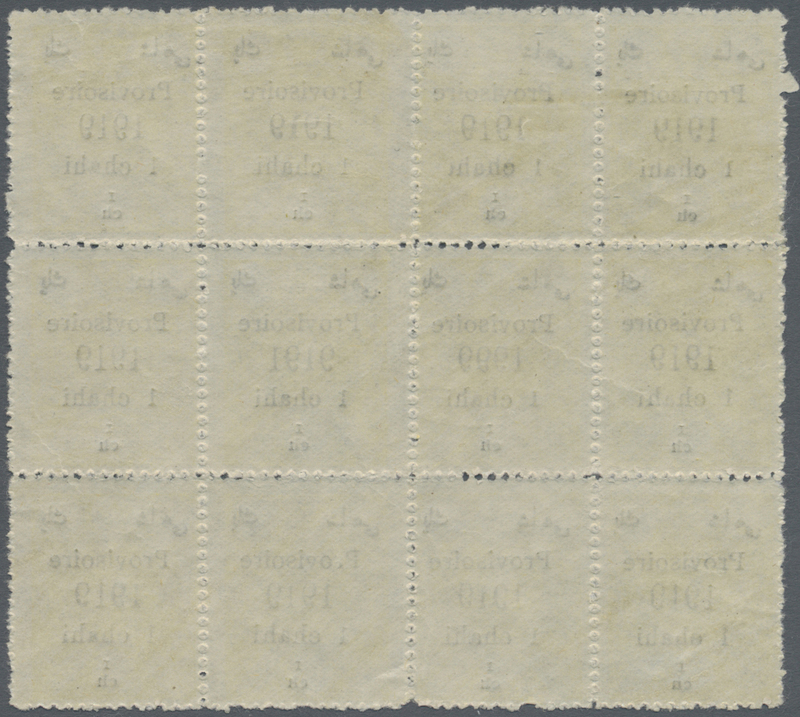 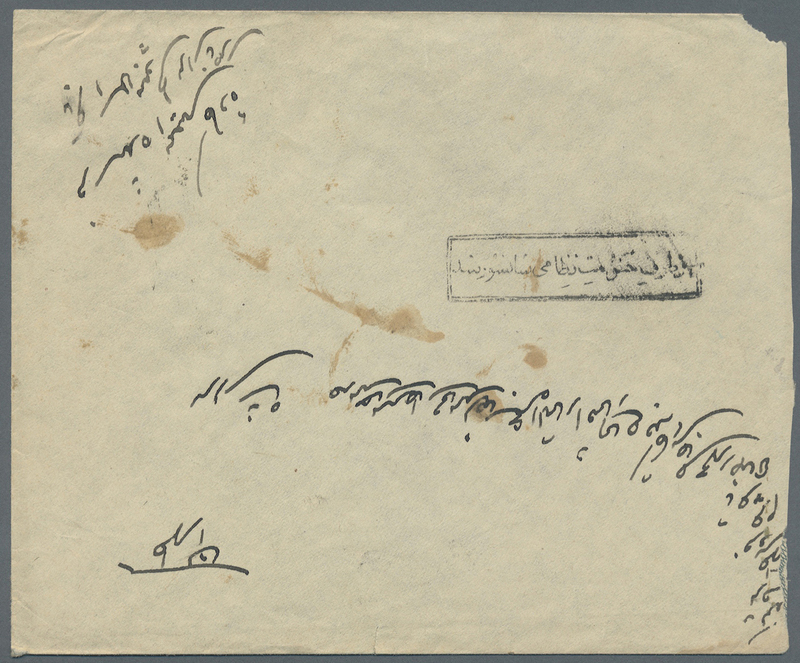 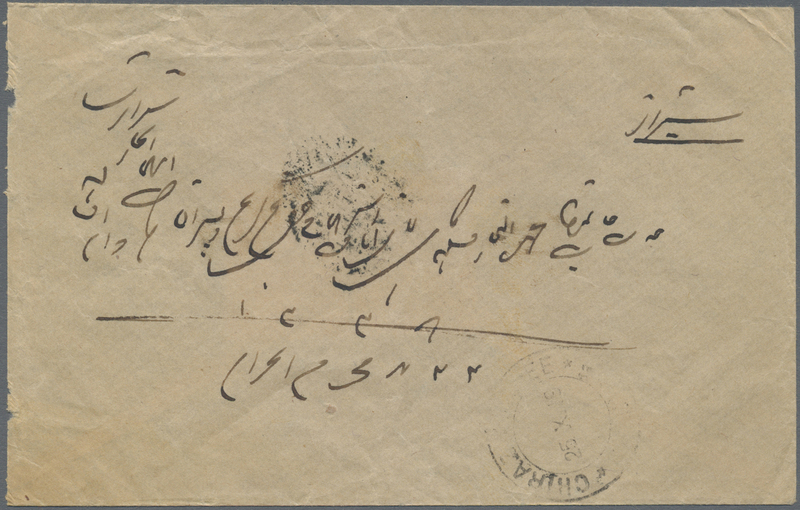 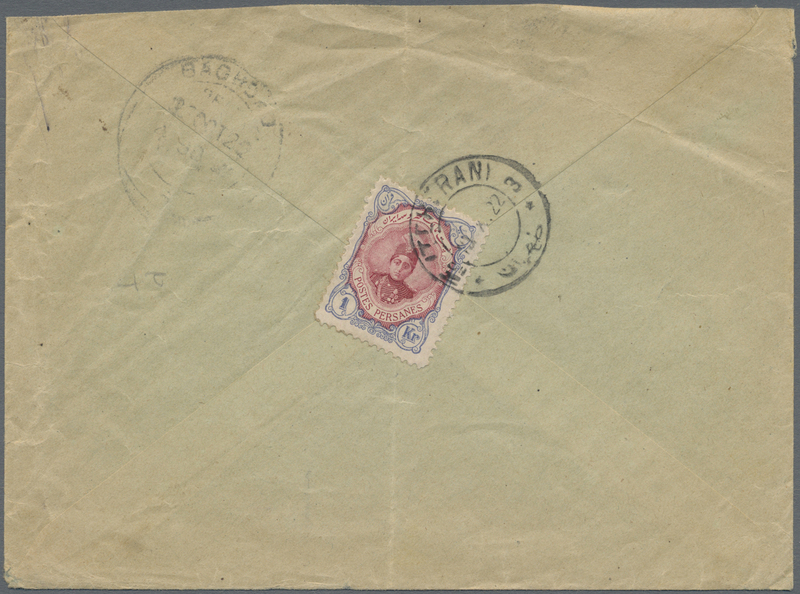 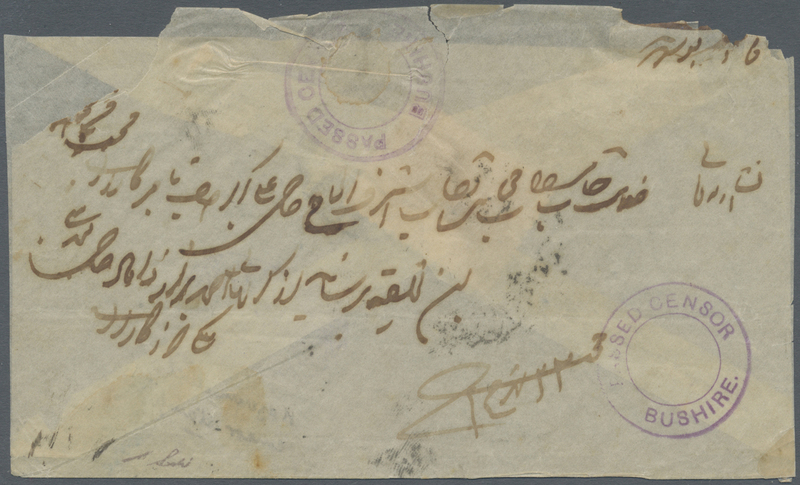 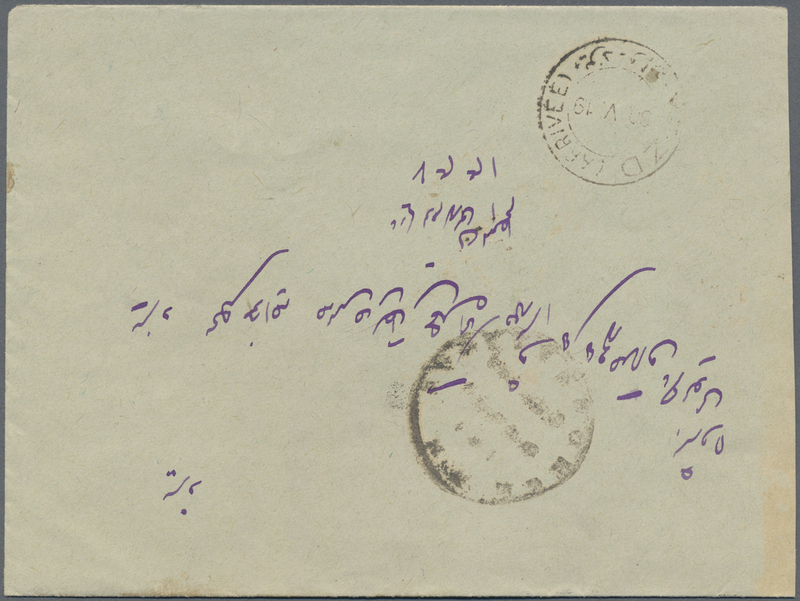 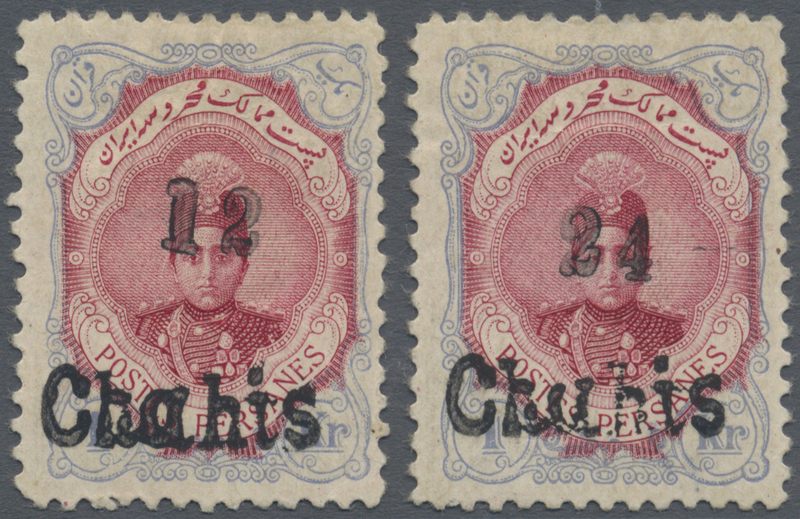 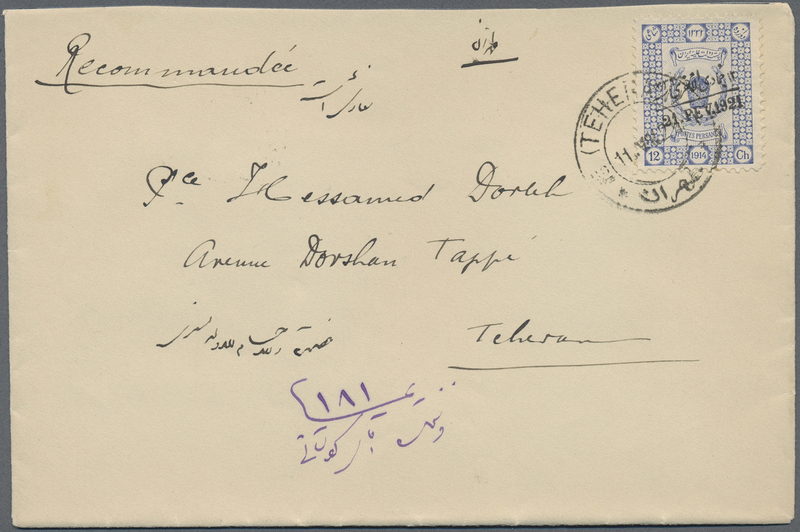 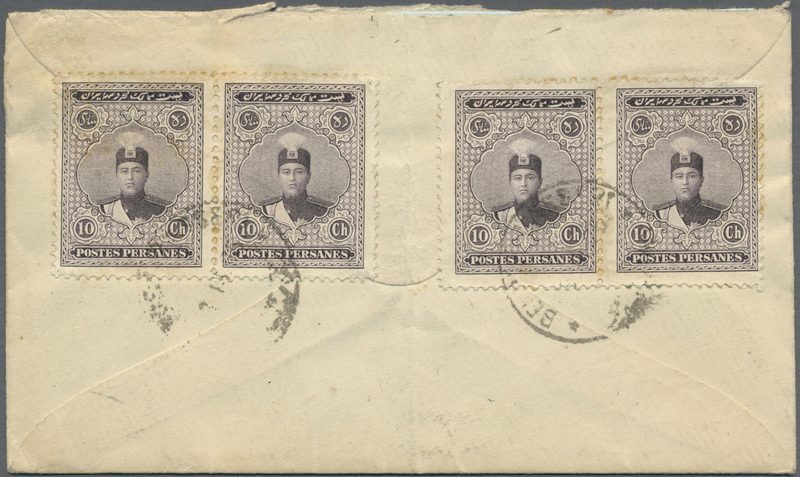 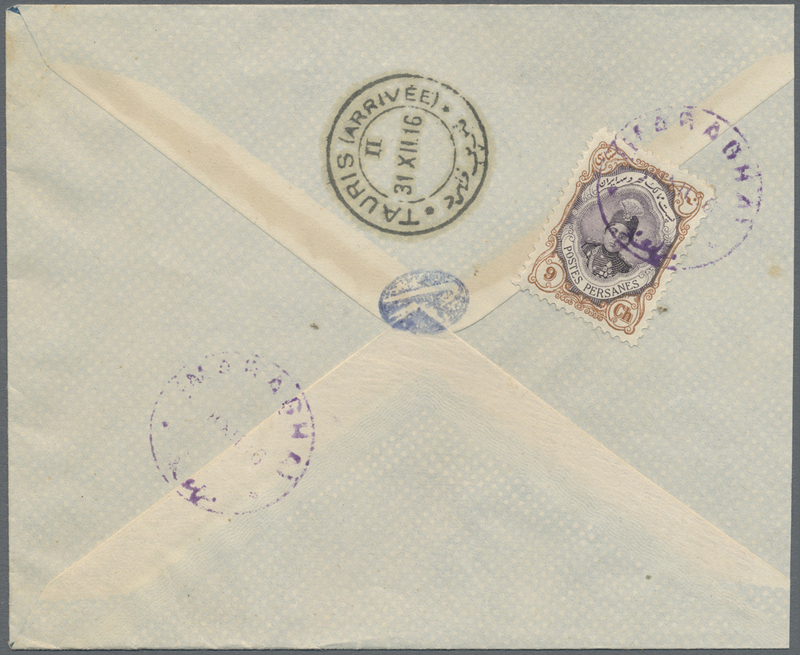 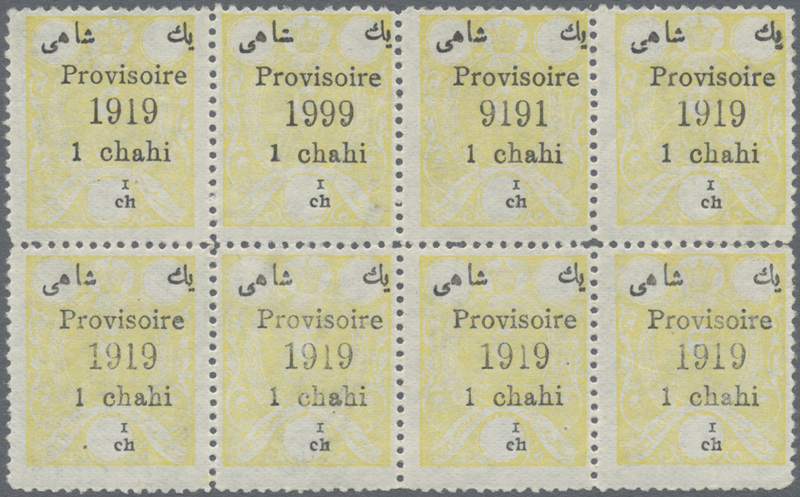 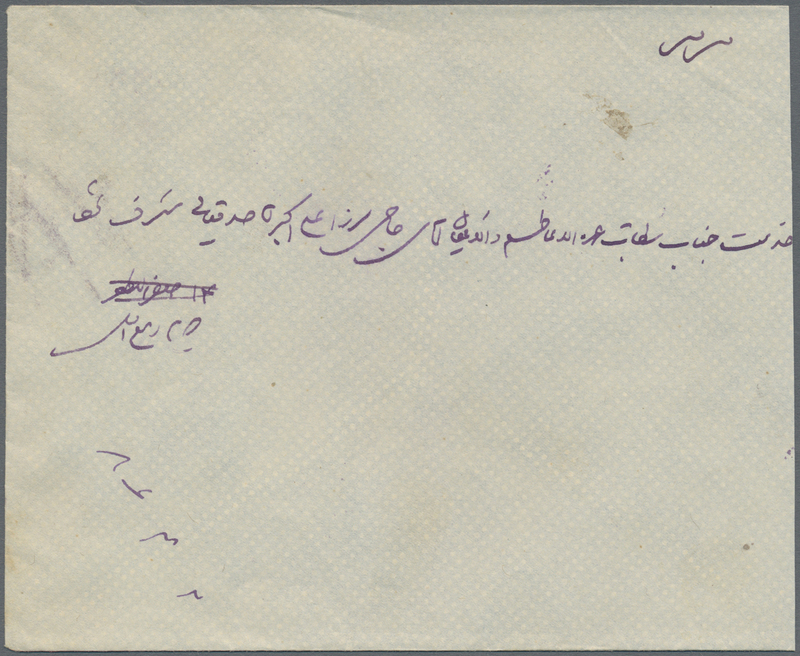 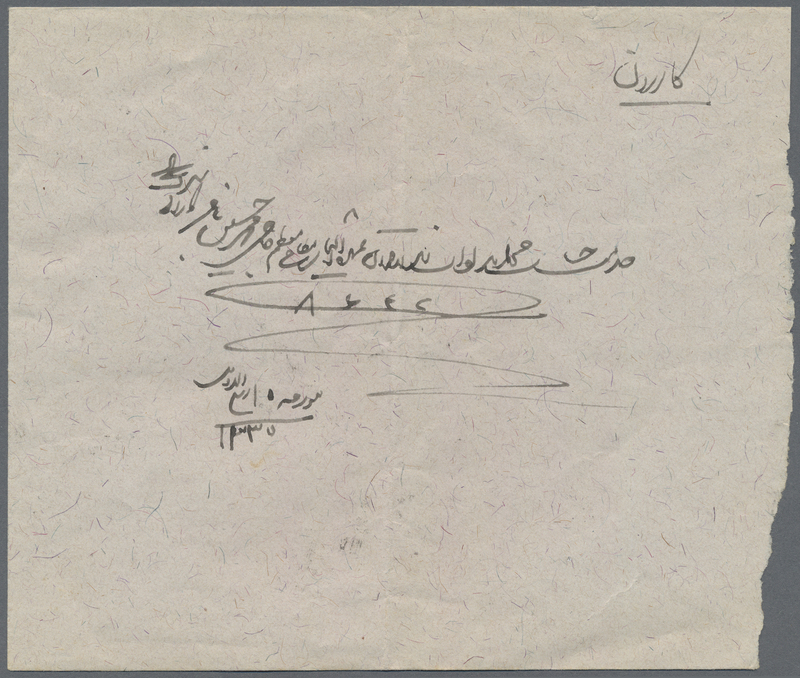 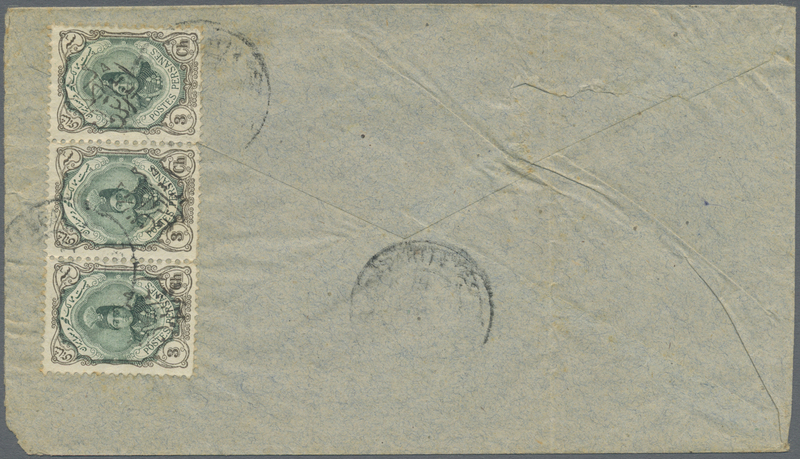 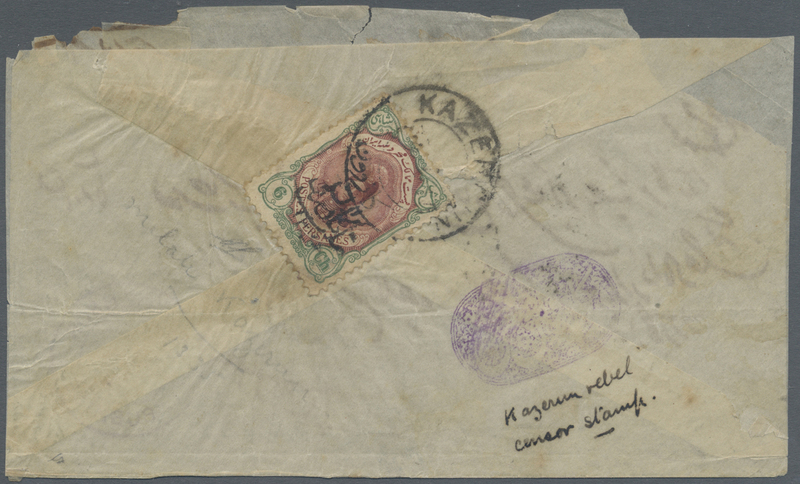 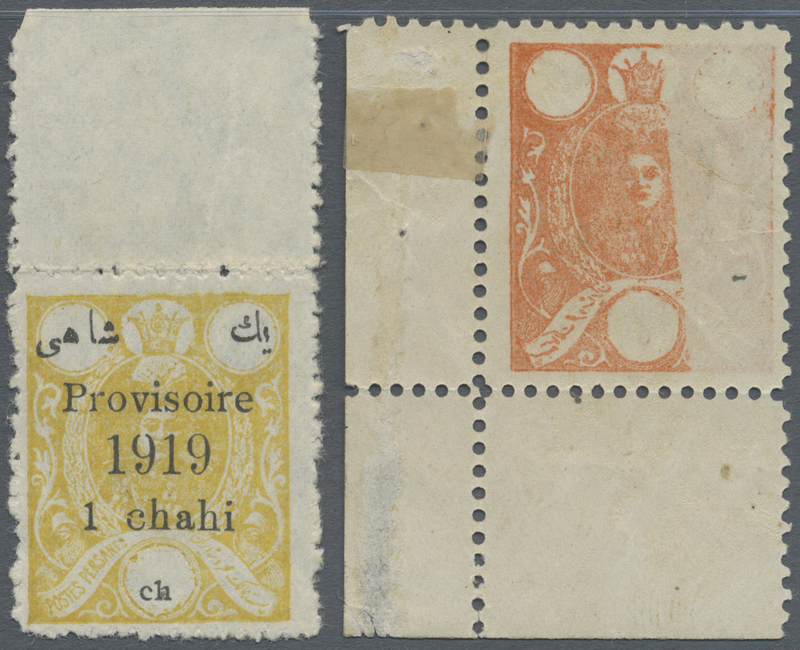 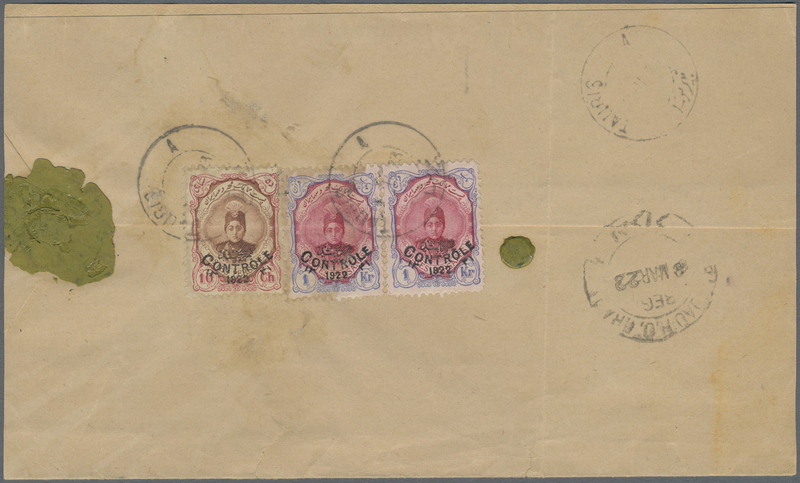 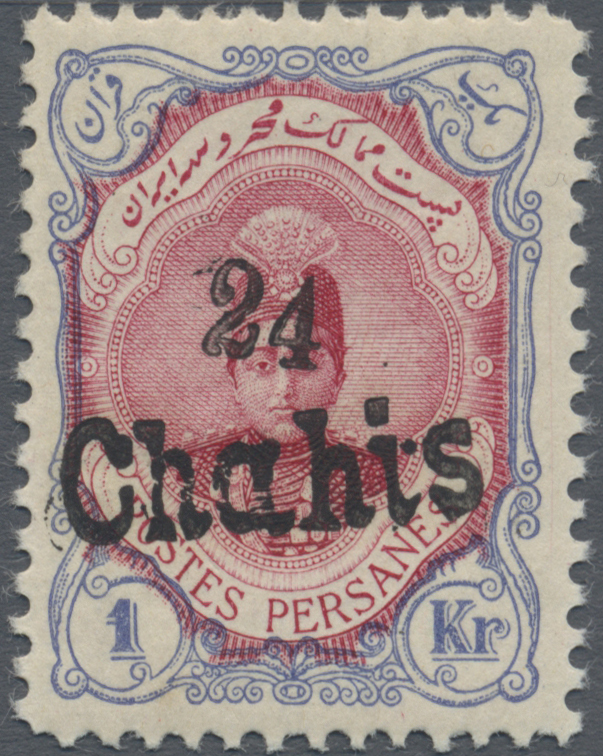 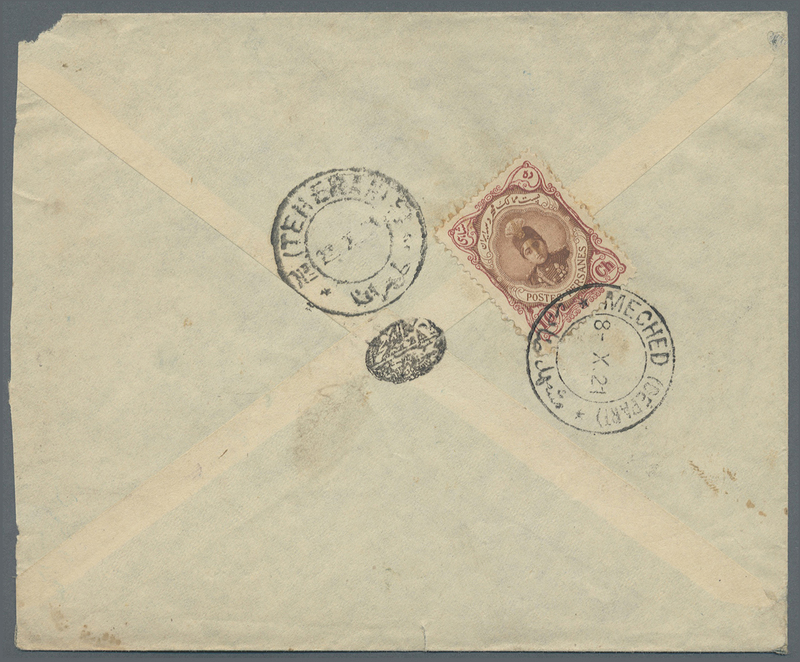 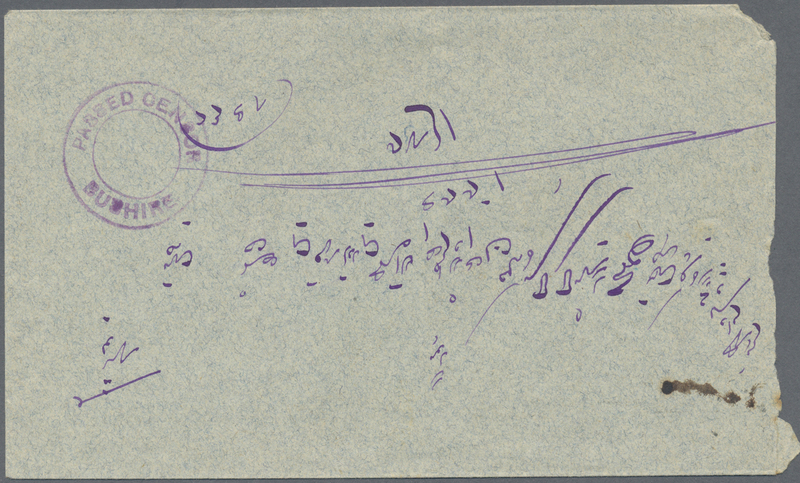 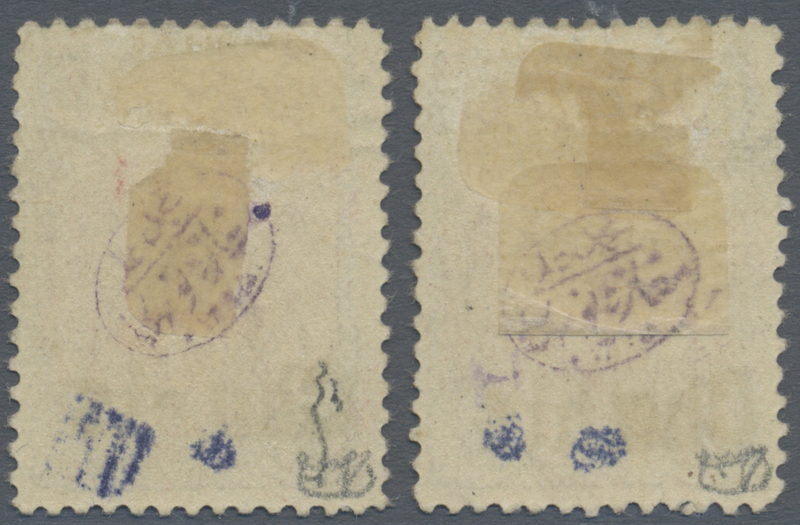 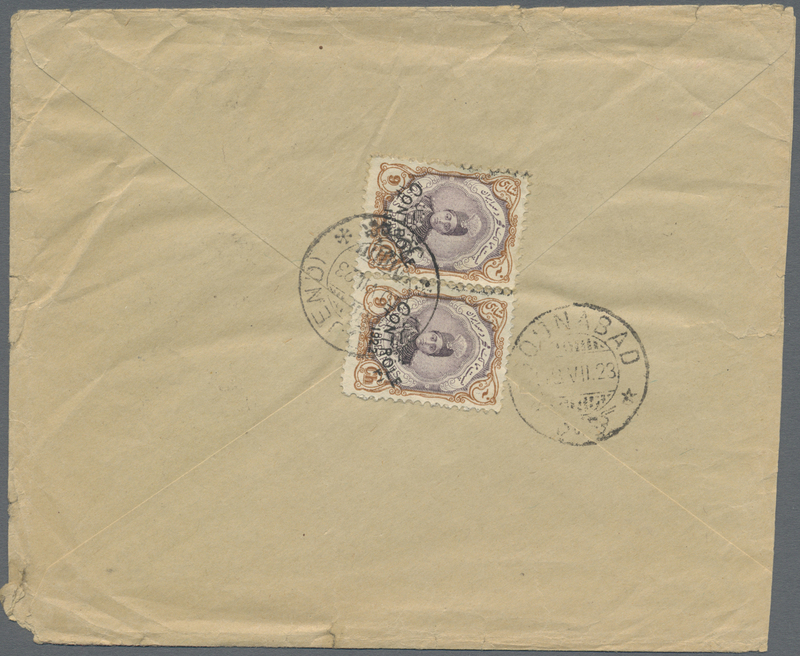 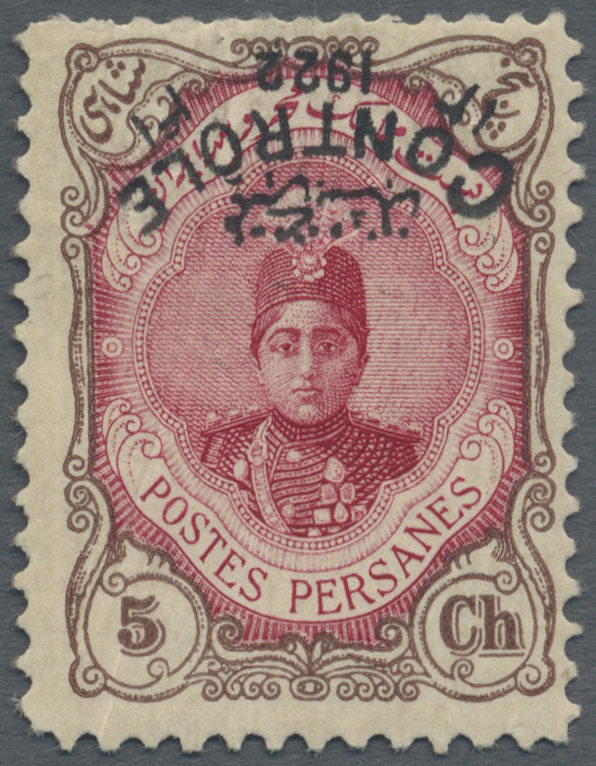 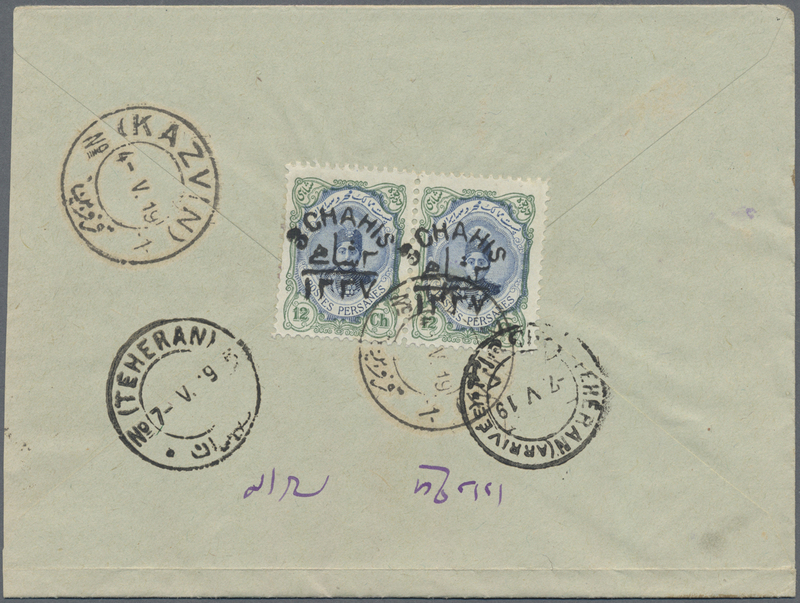 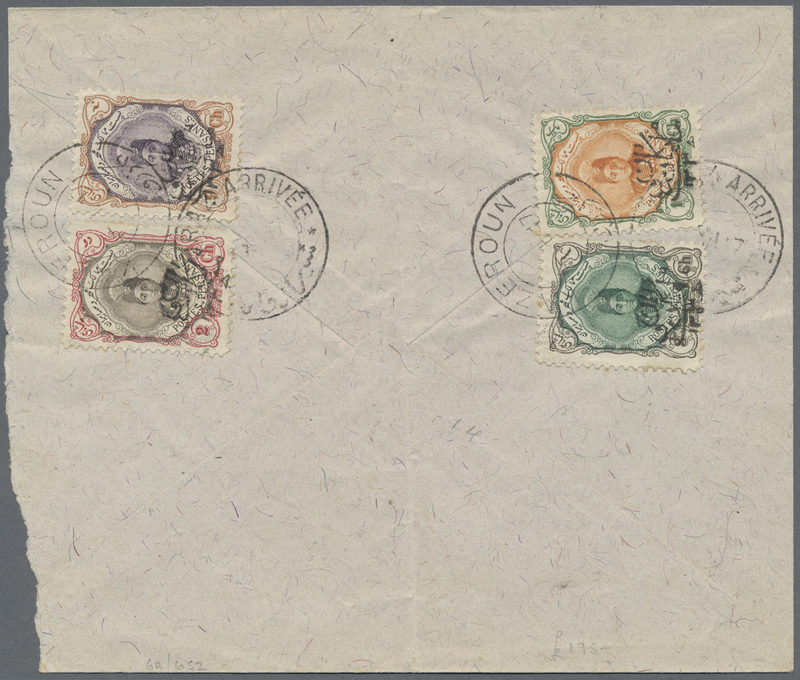 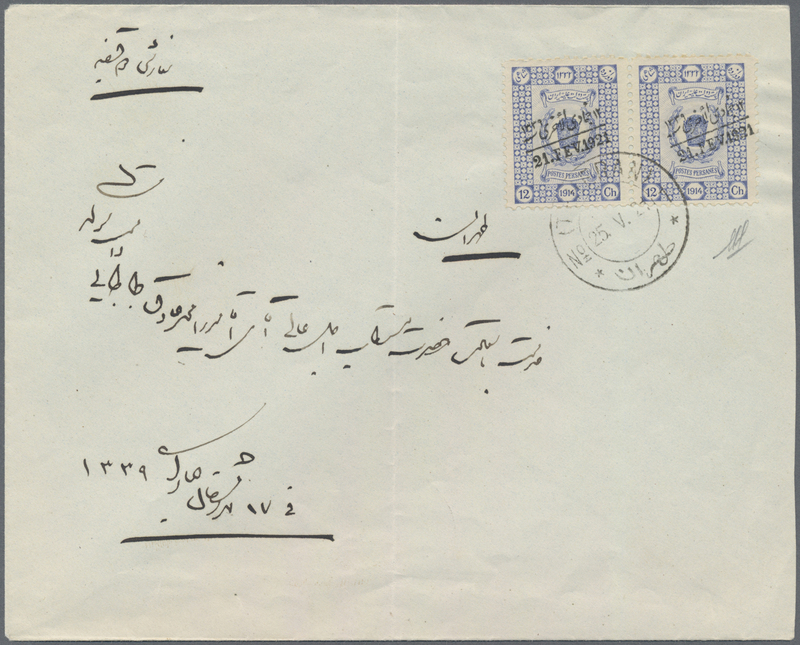 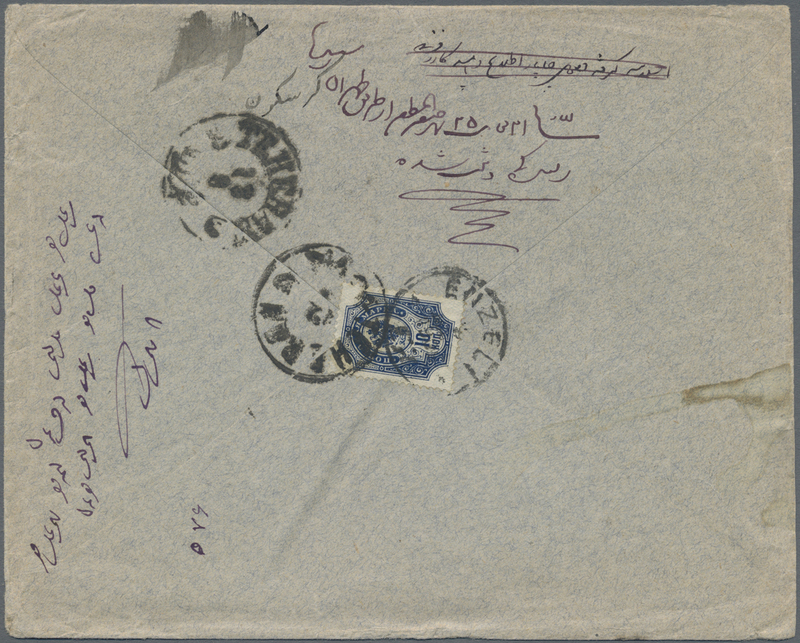 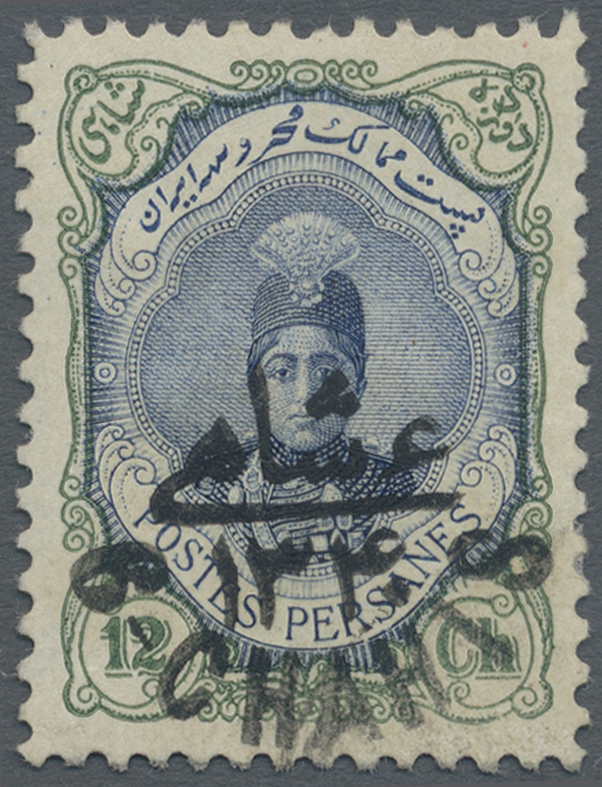 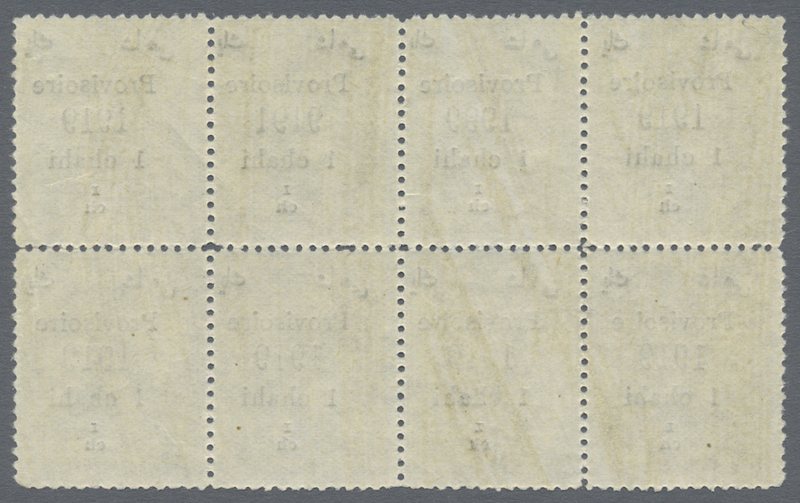 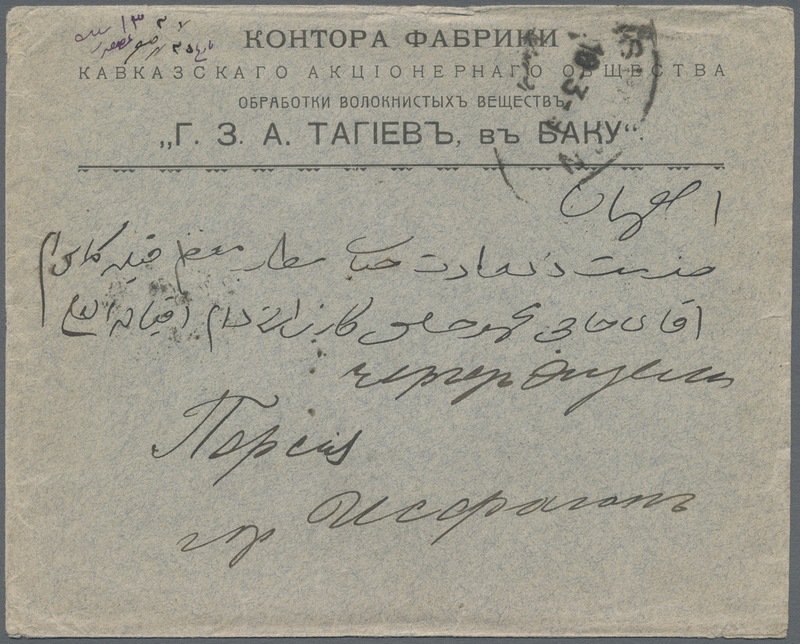 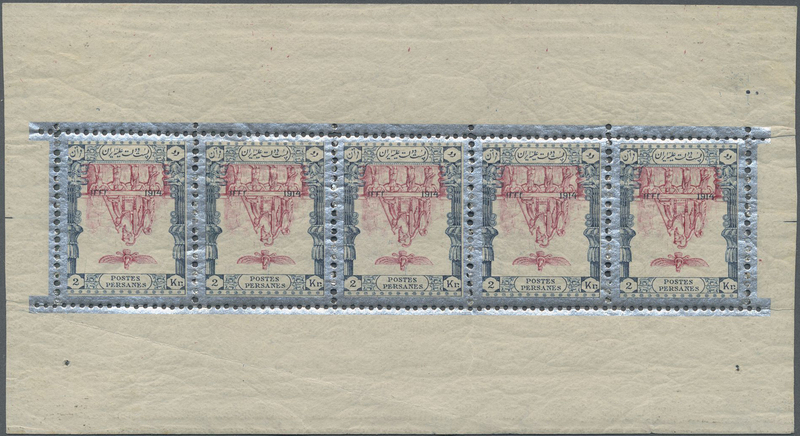 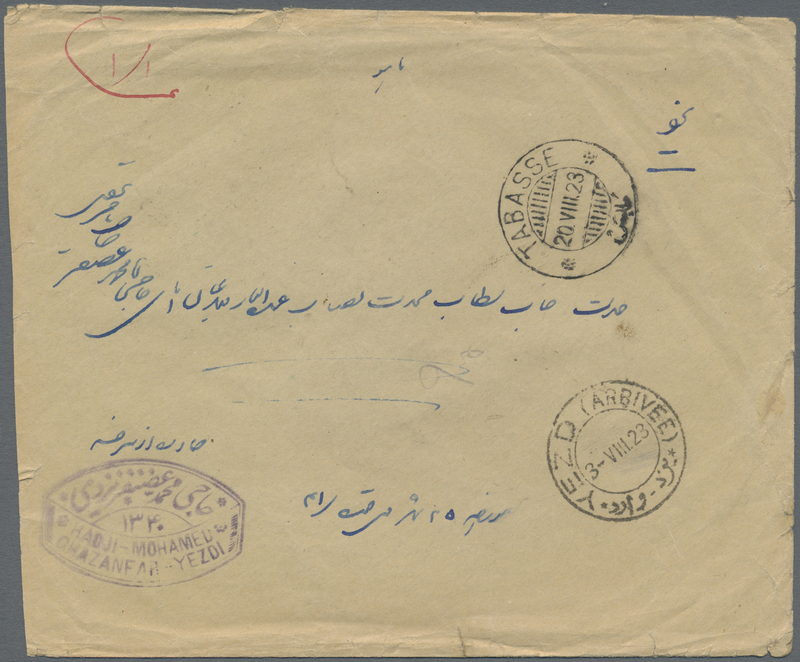 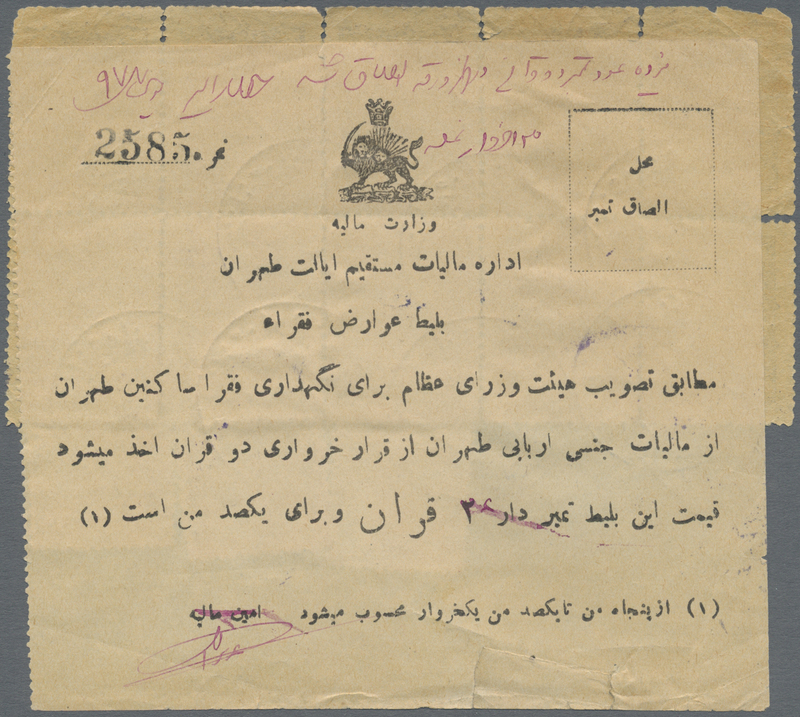 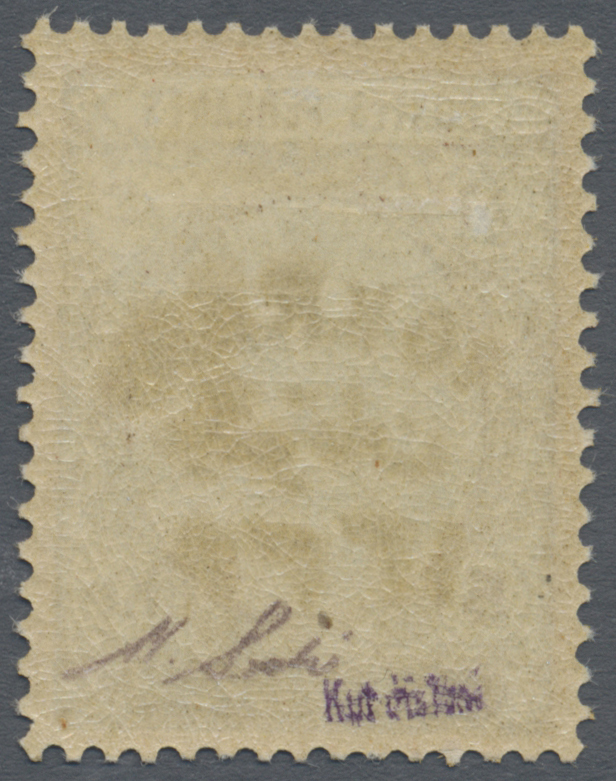 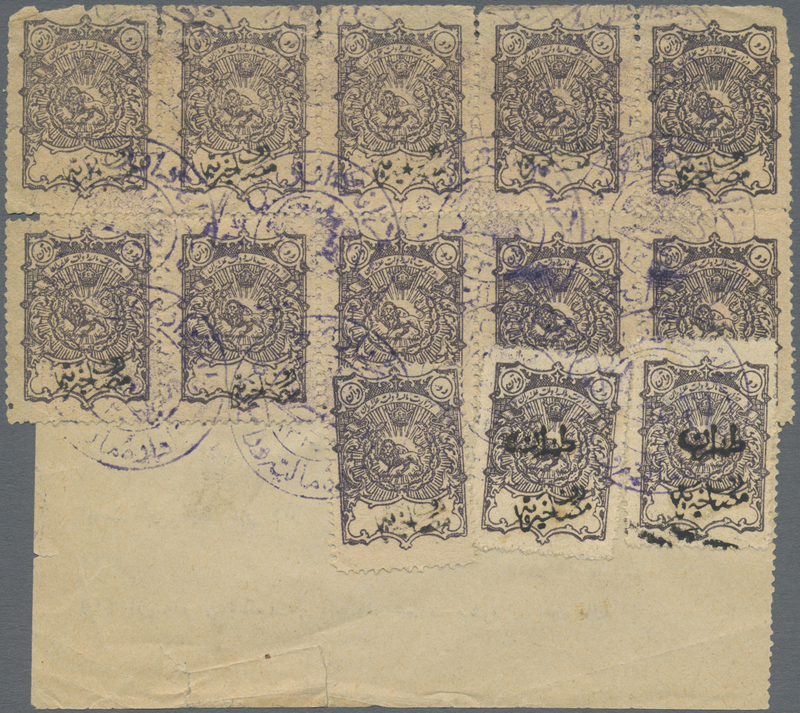 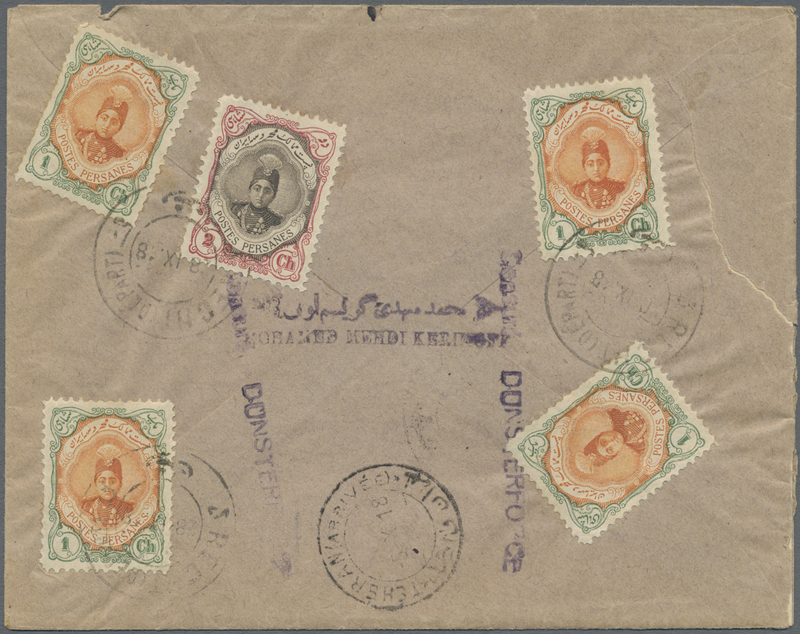 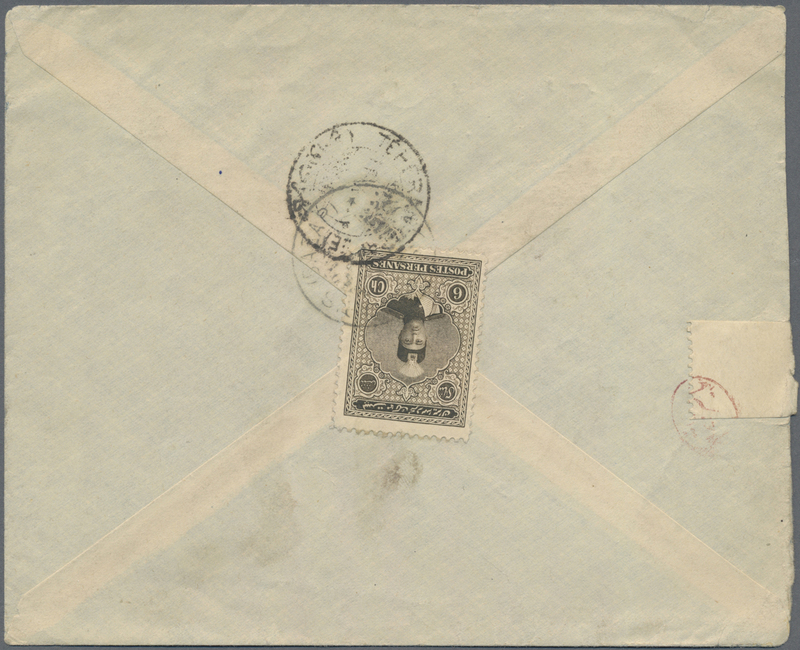 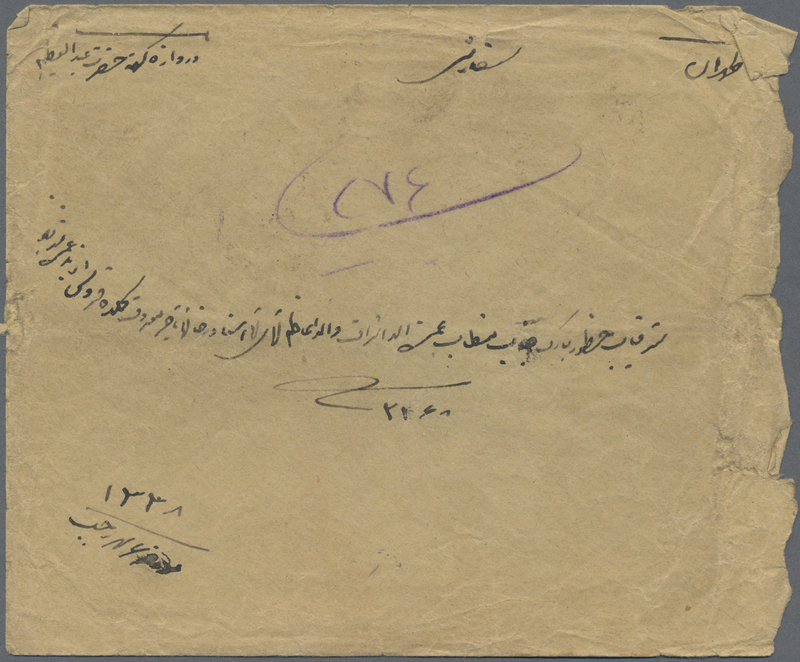 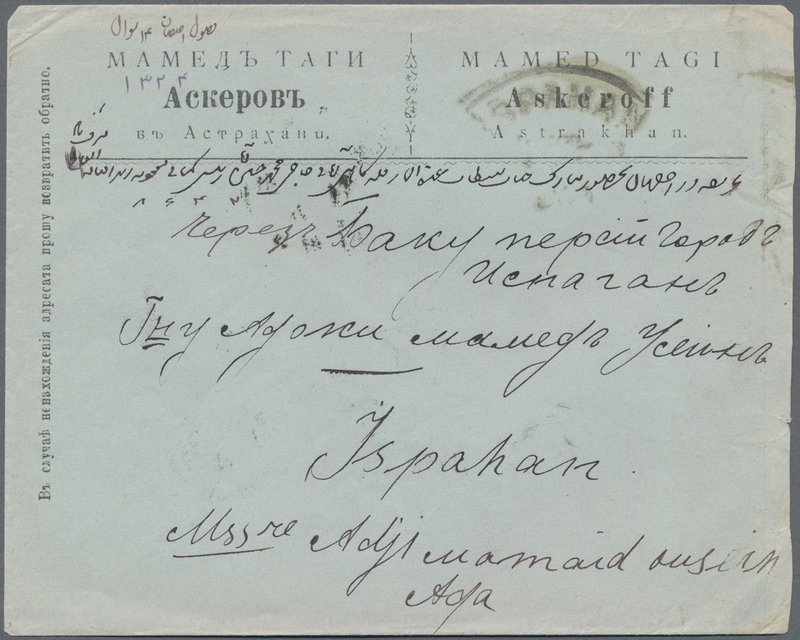 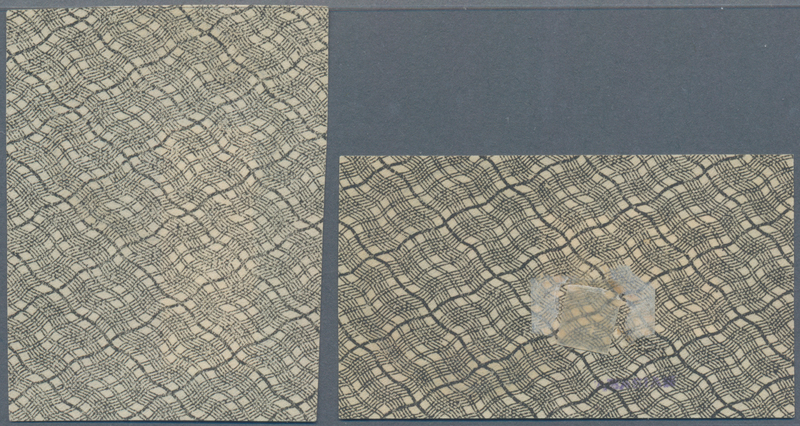 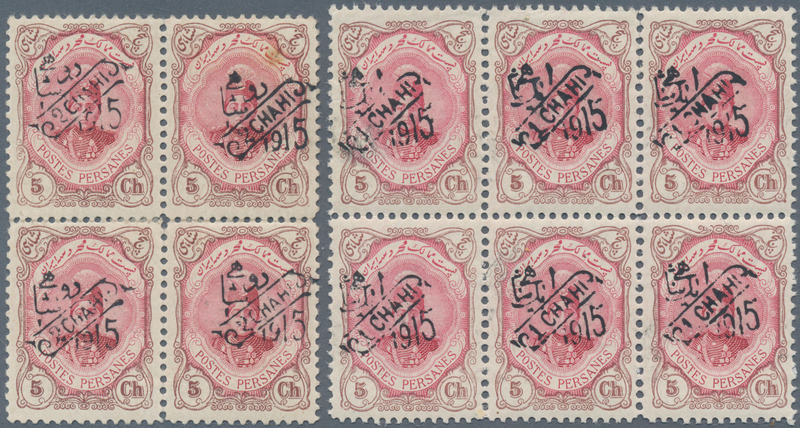 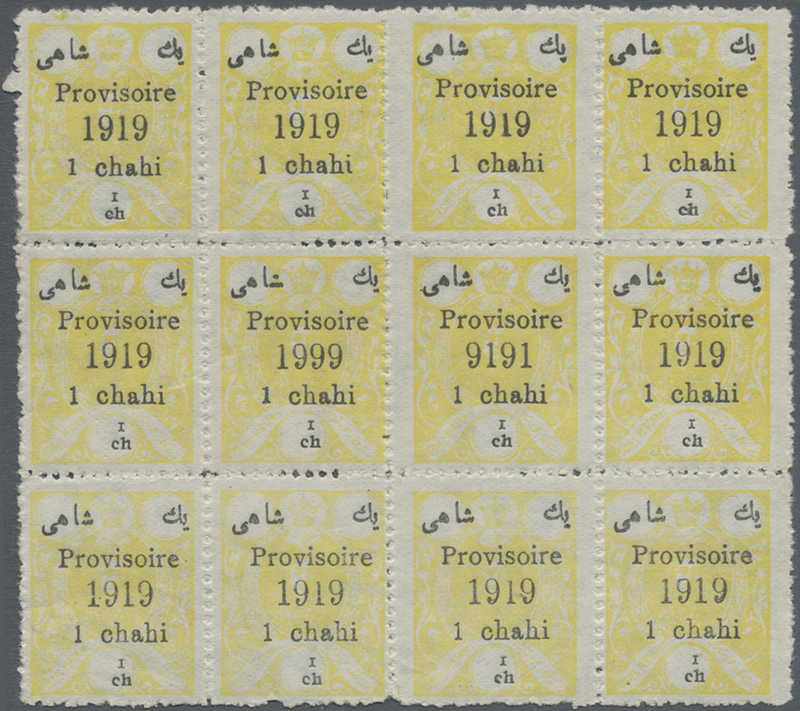 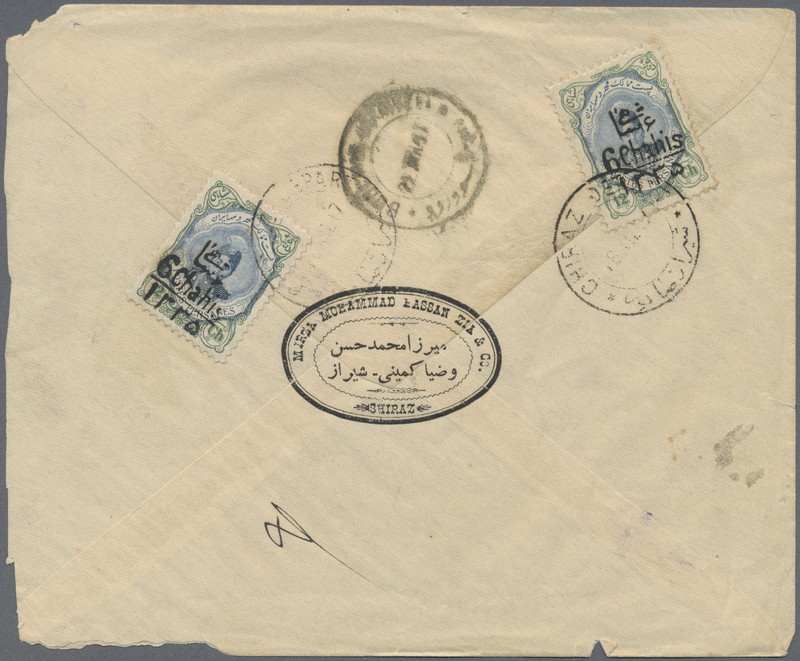 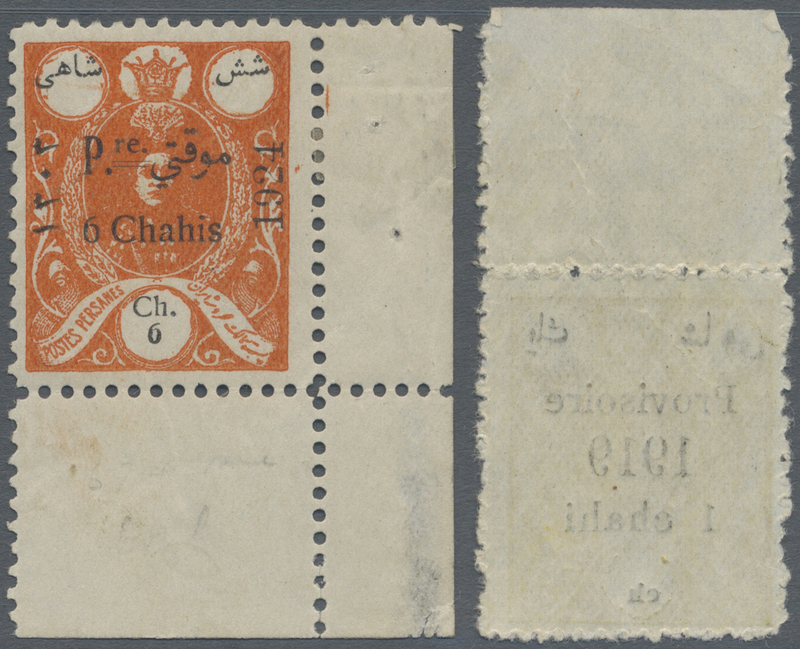 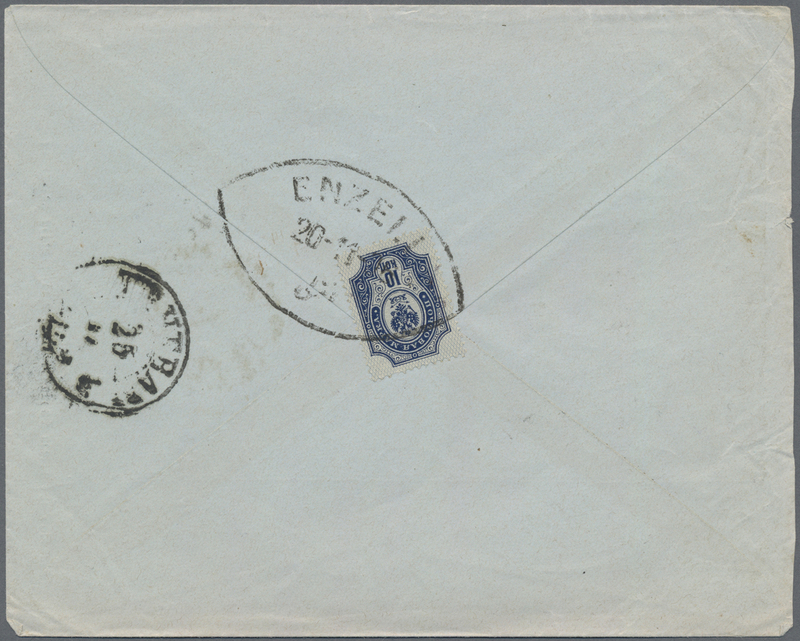 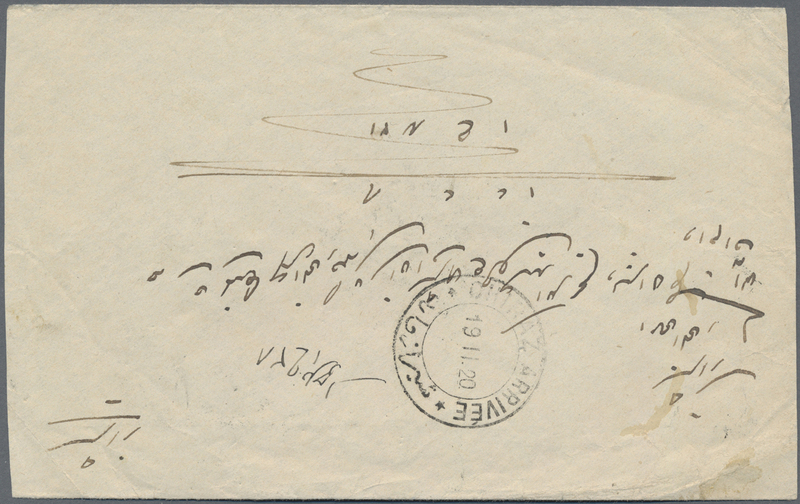 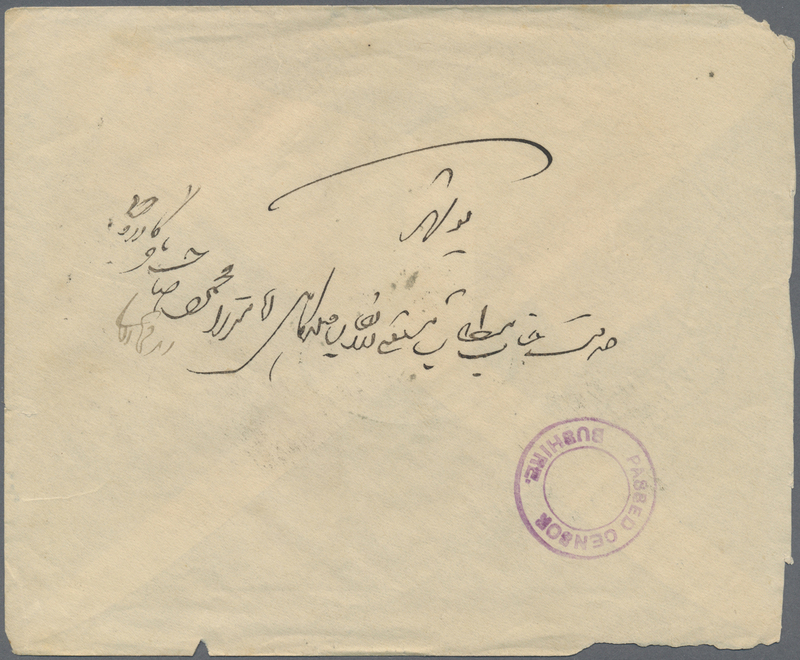 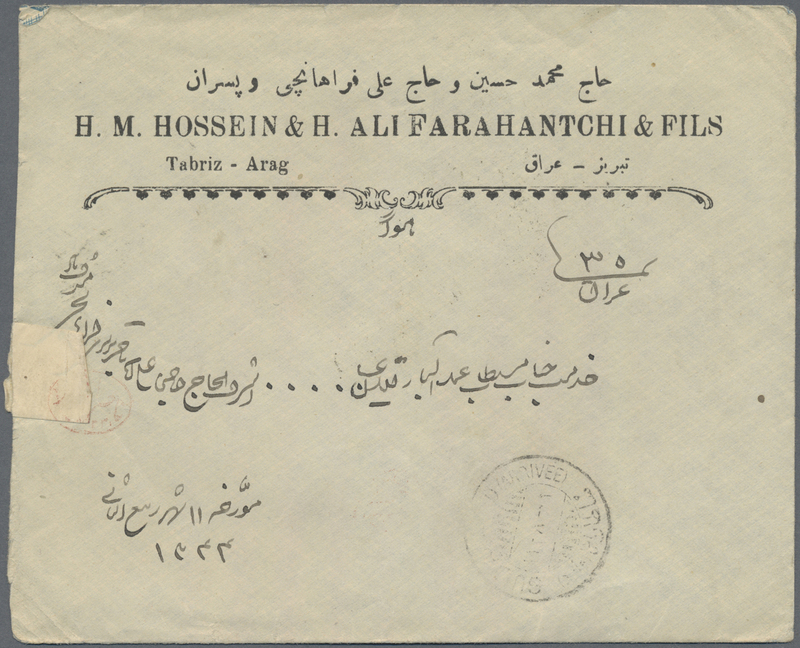 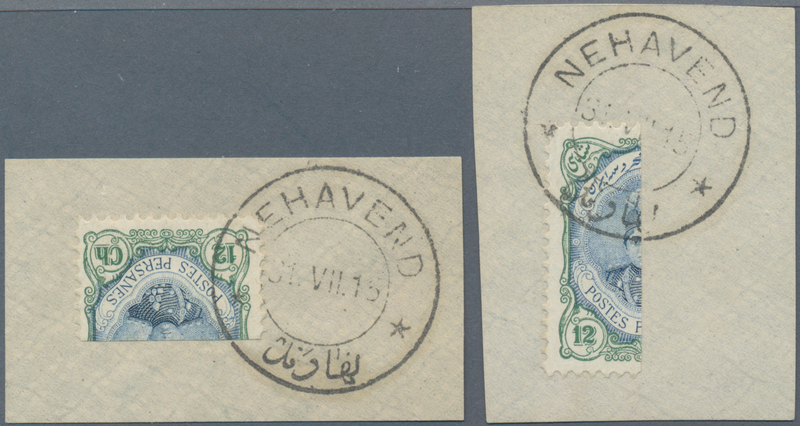 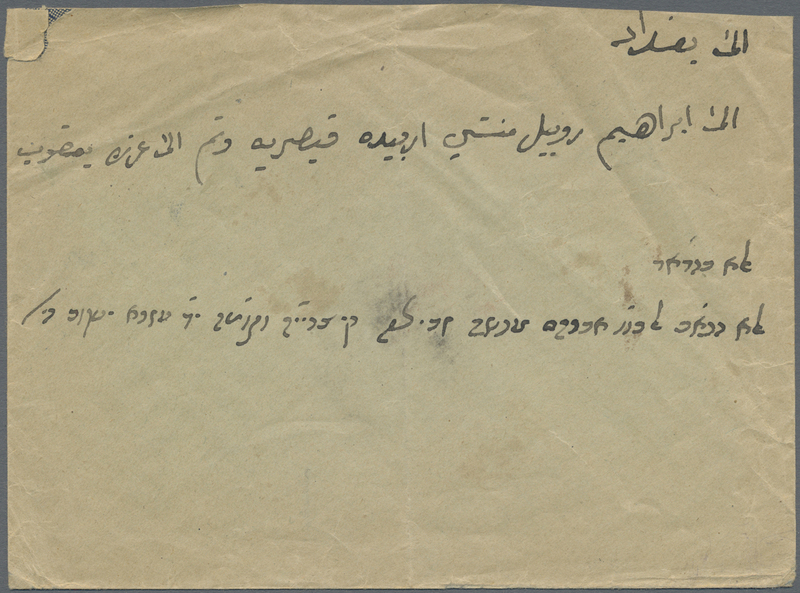 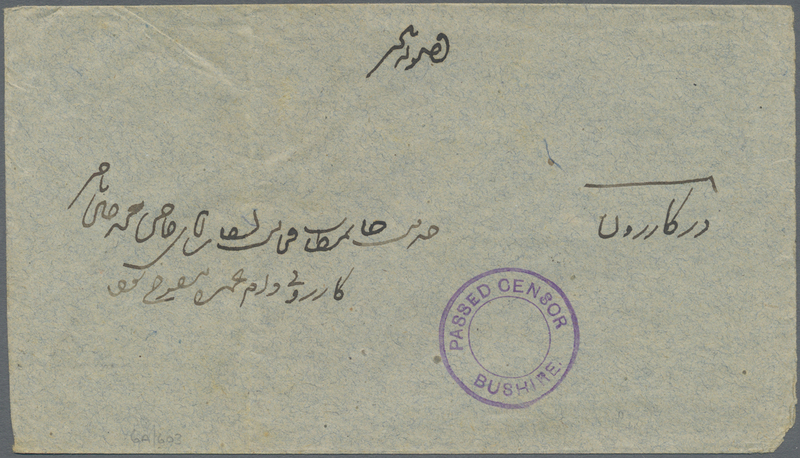 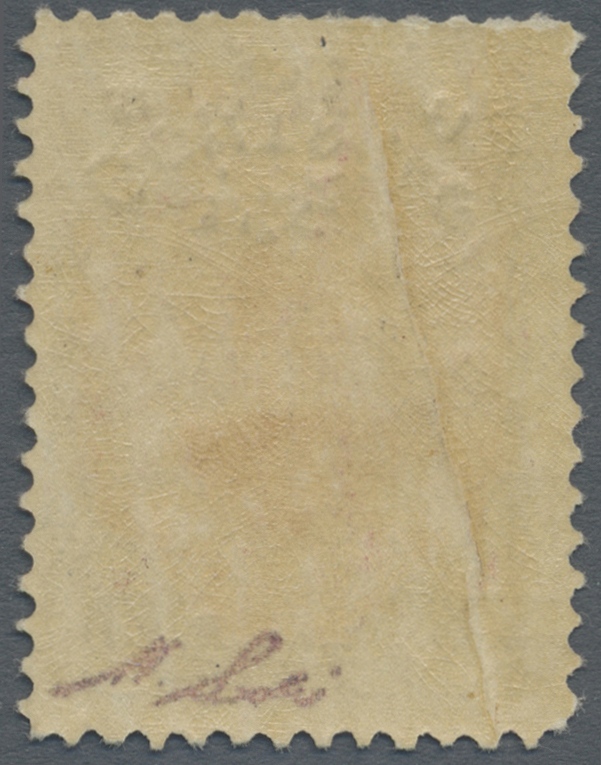 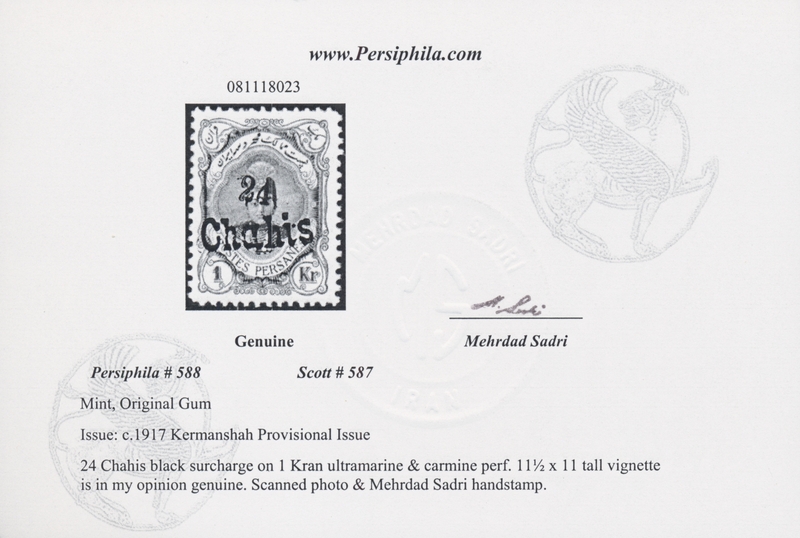 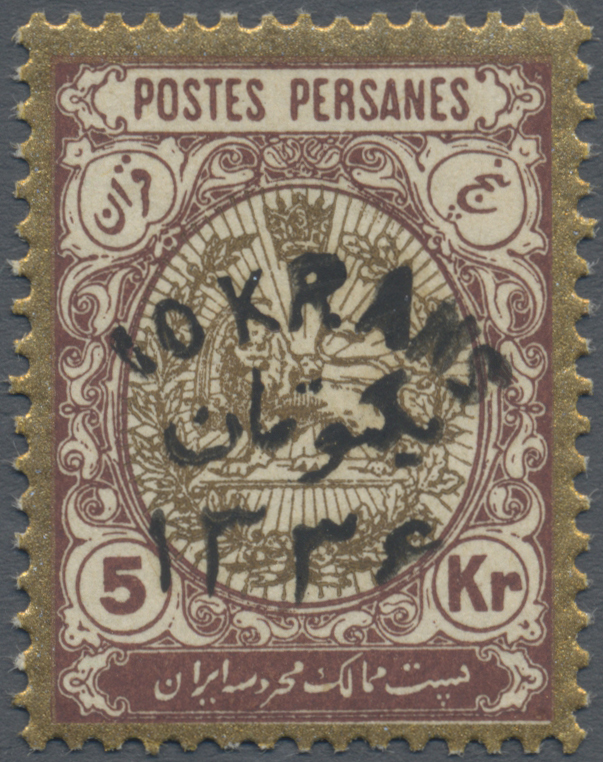 618 (40) 1919, zinc plate provisional issue, 3 ch./3 ch. 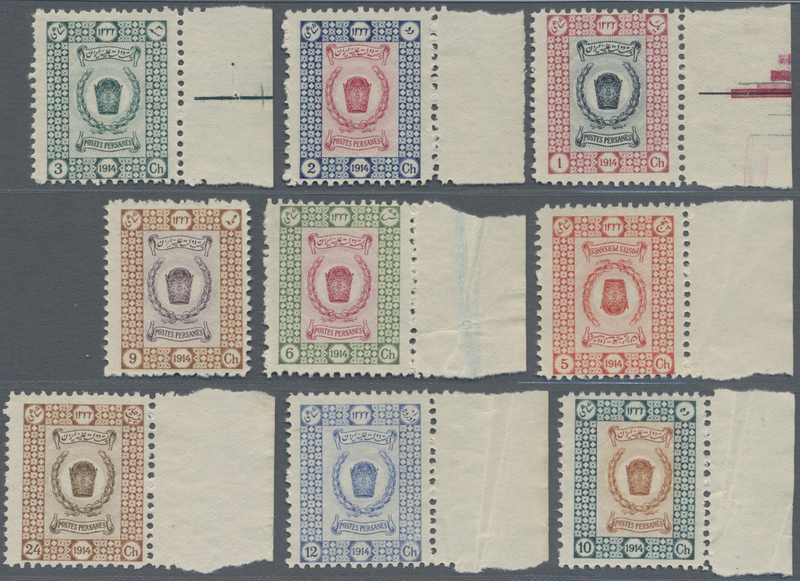 green, a left margin block of 40 (4x10), mint never hinged MNH (Scott $800.-). 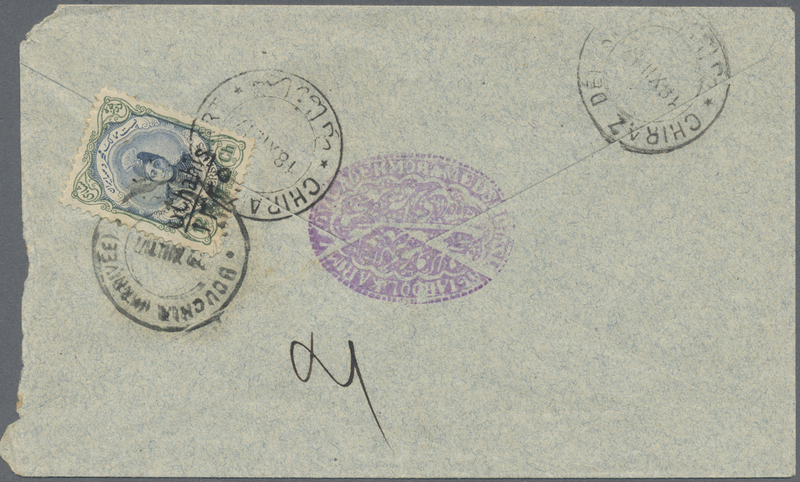 8387 ungebraucht ohne Gummi (unused without gum) (*) Sc. 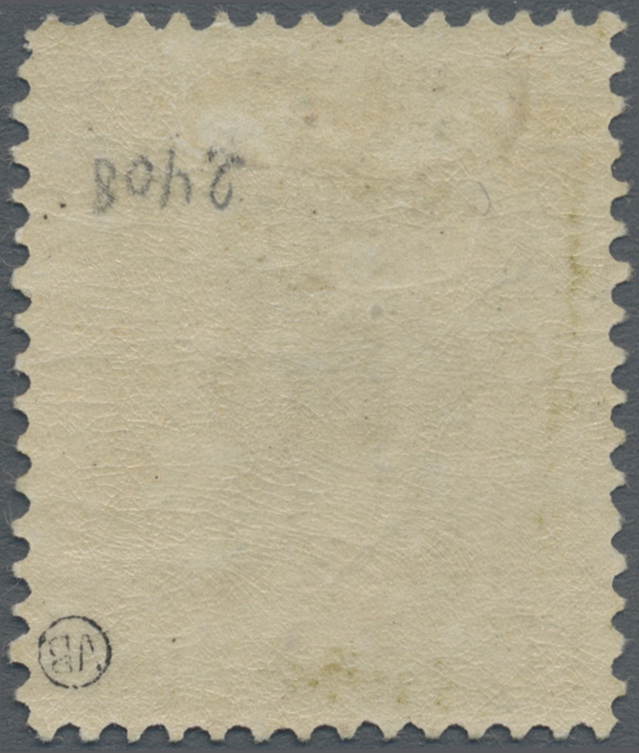 632 1921, 6ch. 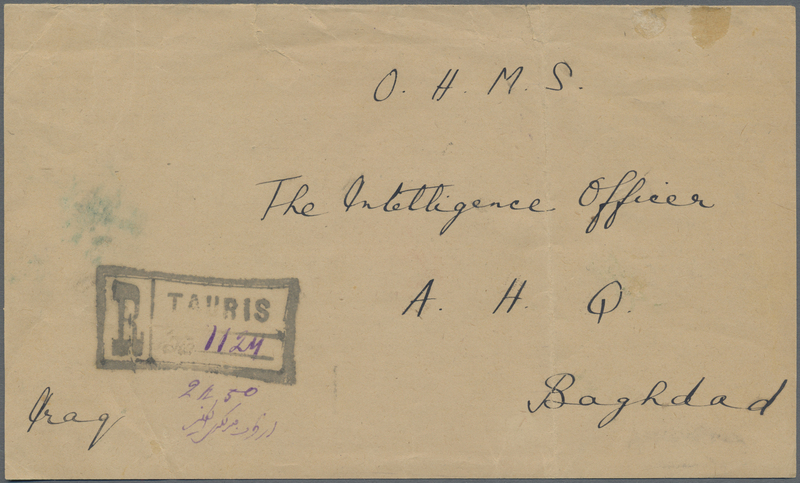 on 12ch. 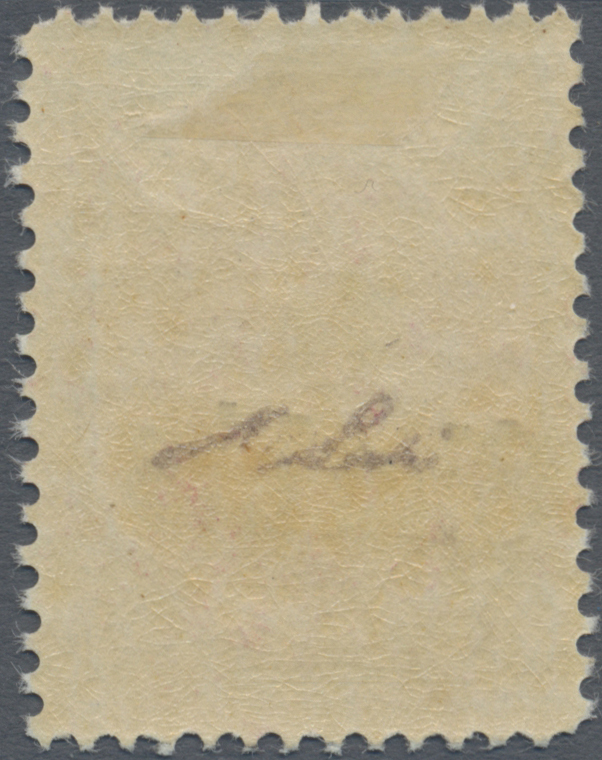 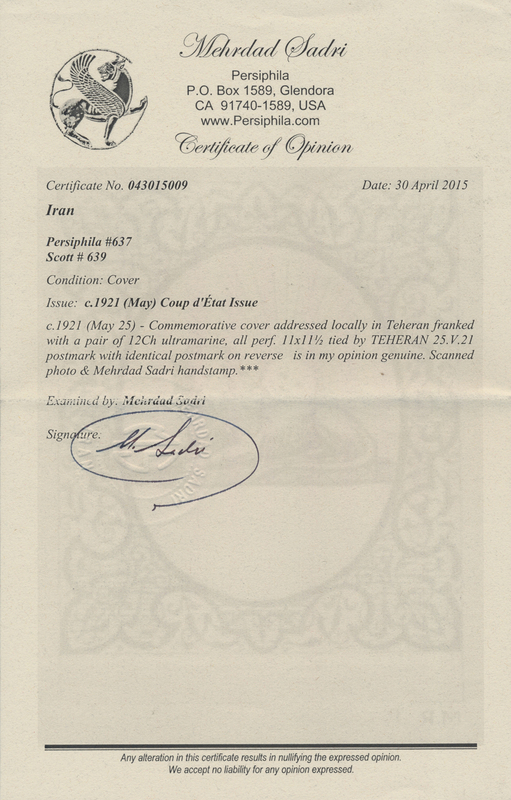 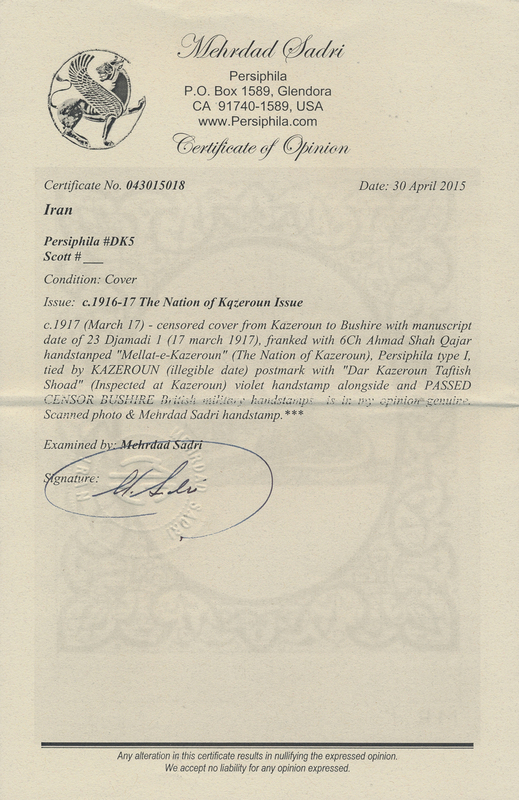 green/ultramarine, unused no gum, slight imperfections, signed. 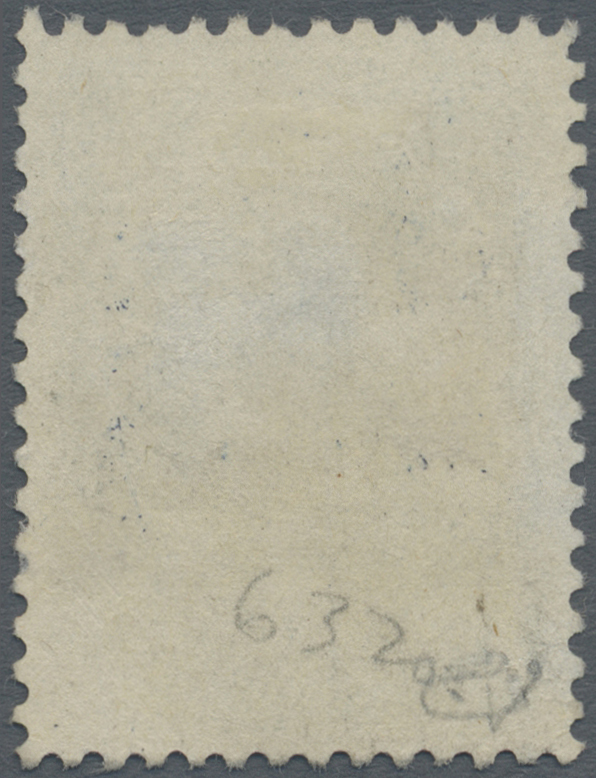 8388 ungebraucht (hinged) * Sc. 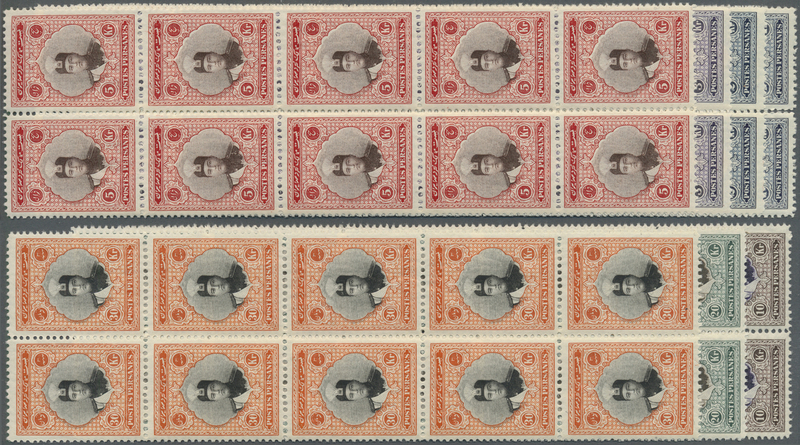 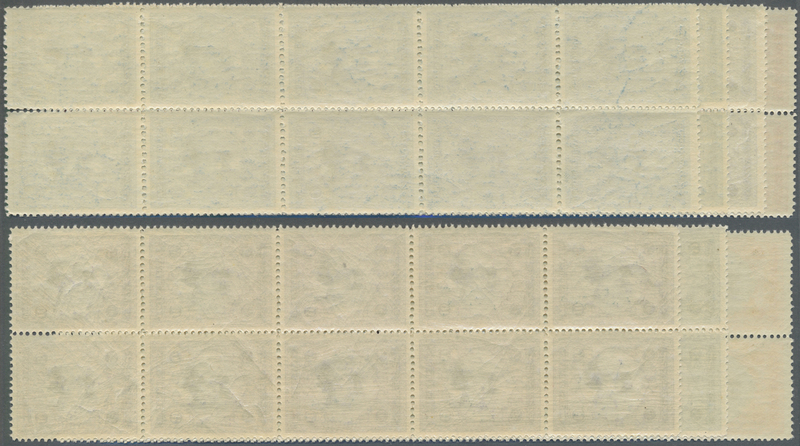 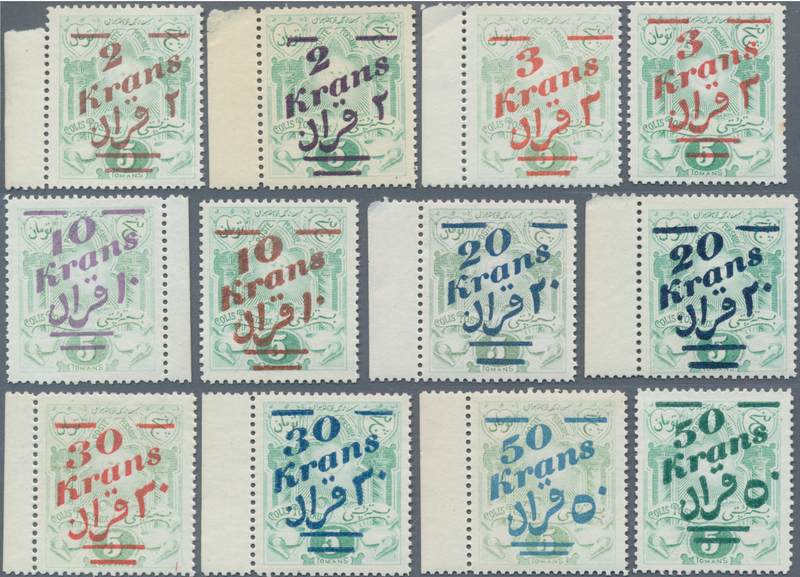 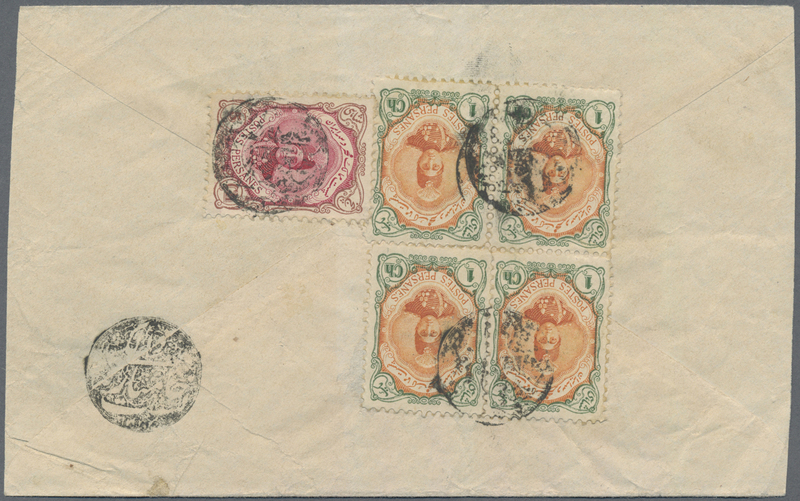 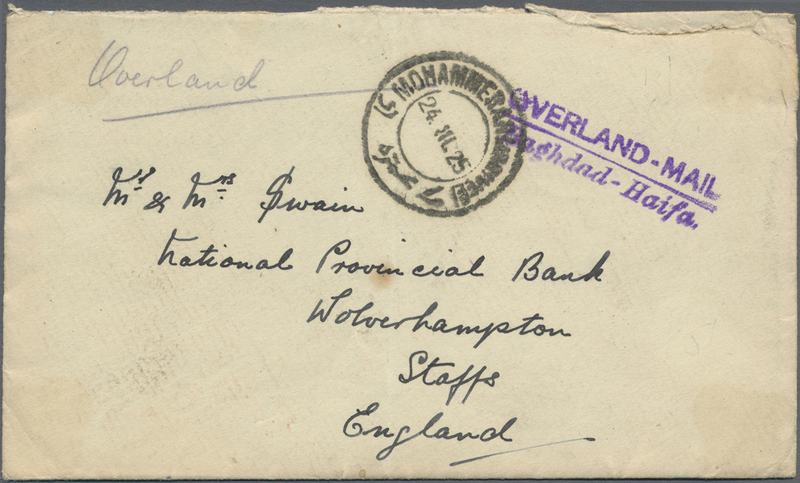 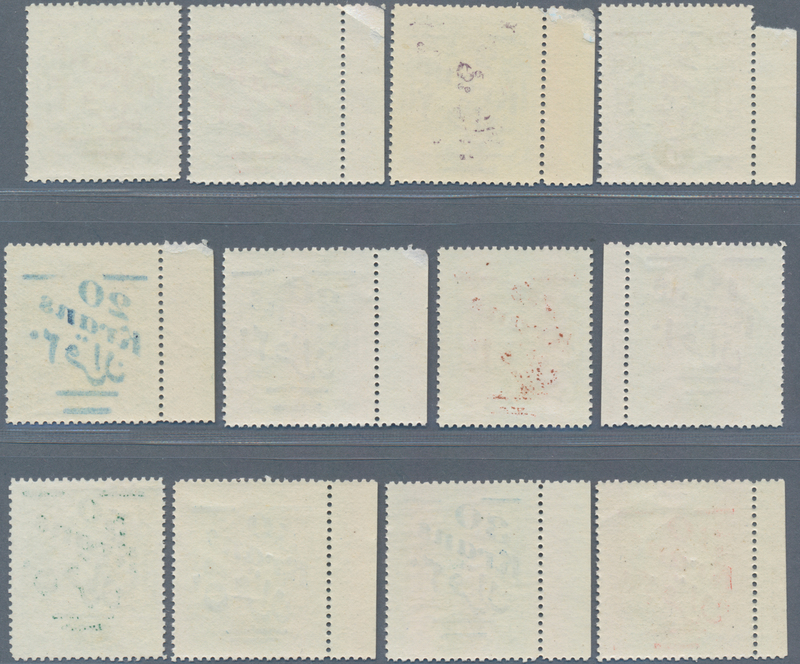 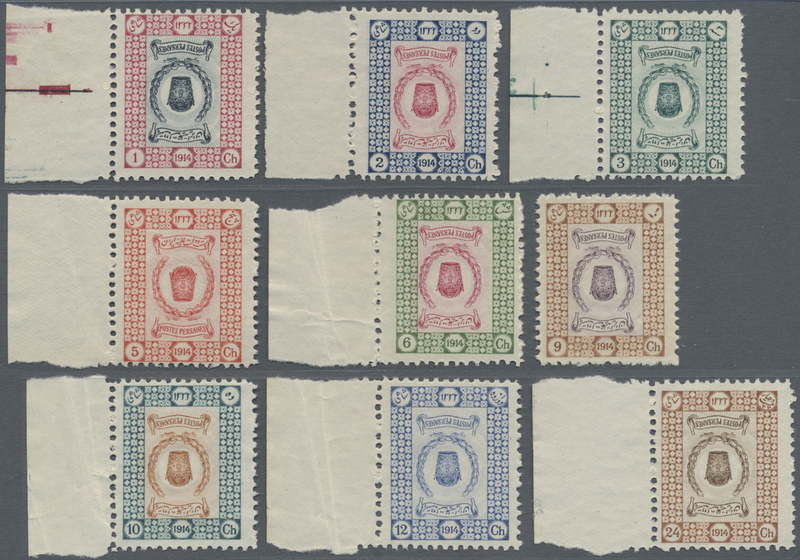 635/45 1921, Coronation overprints, complete set of eleven values, fresh colours and well perforated, mint original gum.